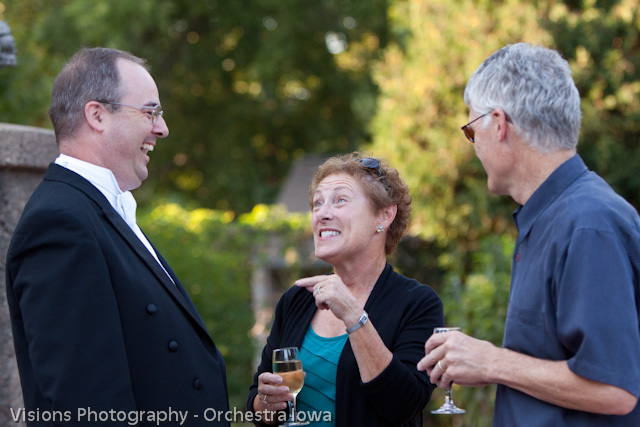 I arrived about 5:30 to photograph the pre party and even that early with the weather the way it was….”PERFECT”….I KNEW it was going to be a special evening! 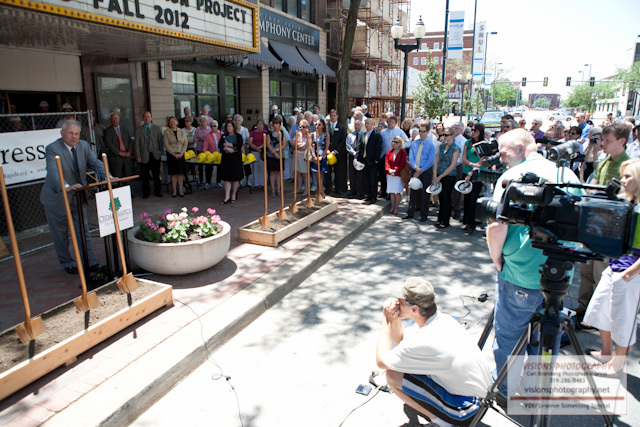 The weather was SO much better than last year! 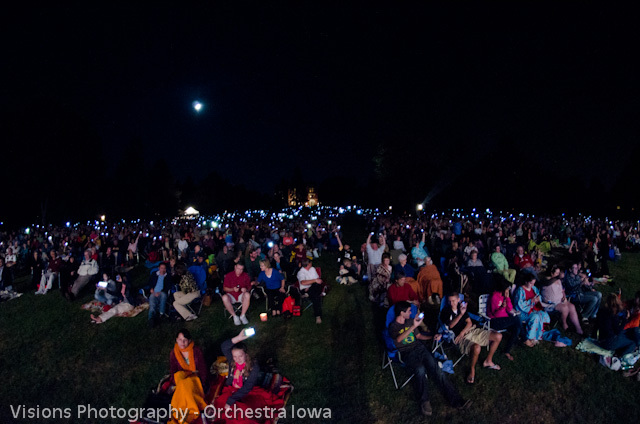 By the time the music started the hill was full with 4000+ ready for an evening of fantastic music under the stars! 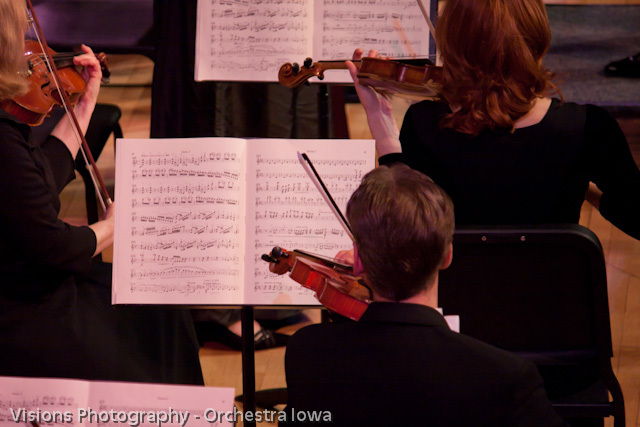 Orchestra Iowa’s season opener at Brucemore is always a great time, last year was cold but the music was still outstanding and had a way of warming you up from the “inside”. 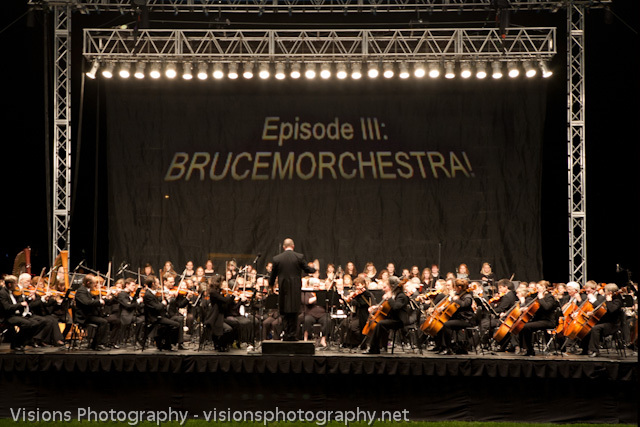 This is my third year of photographing the Brucemore event, and I think the best one yet! 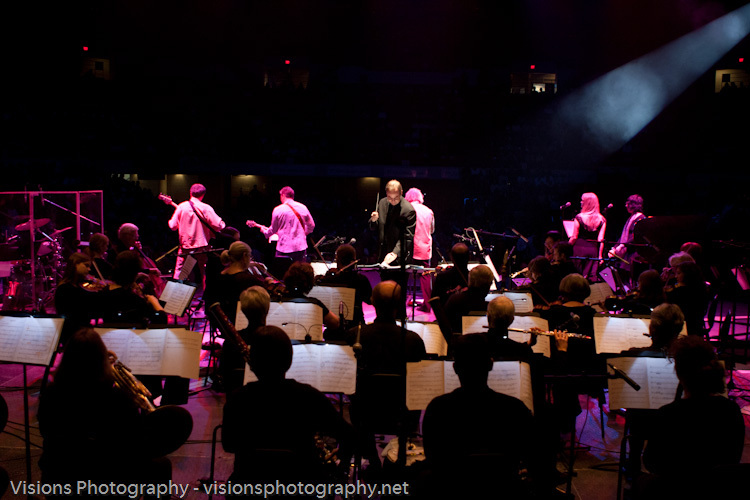 The music was flawless as always, the energy was “electric”! 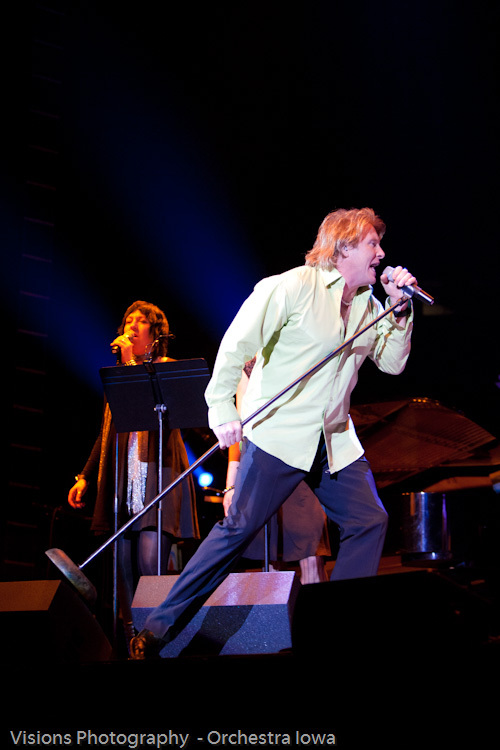 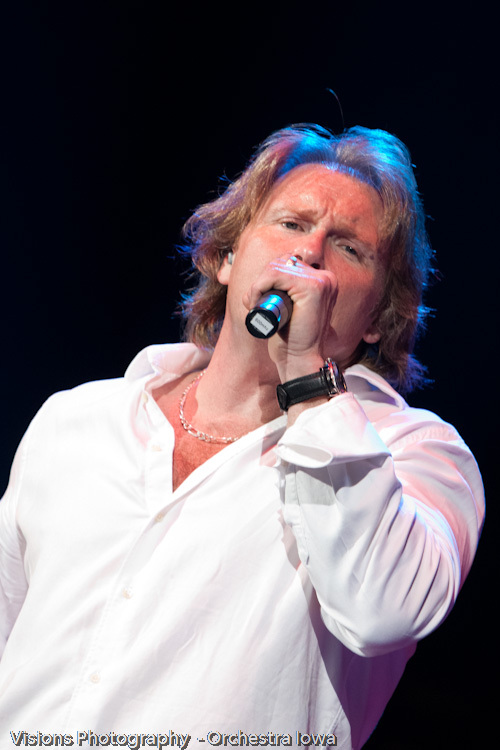 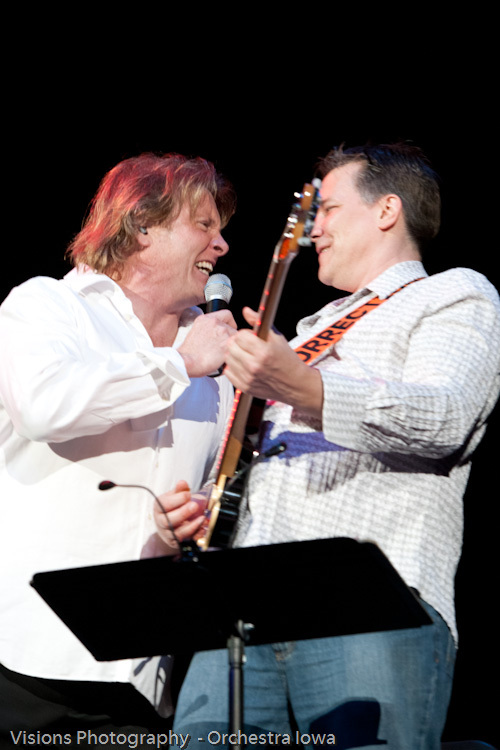 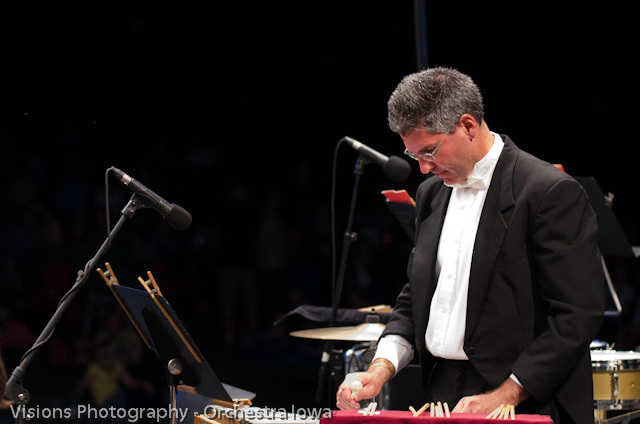 As Maestro Timothy Hankewich put it in his blog, “If the weather is great, then magic happens”. 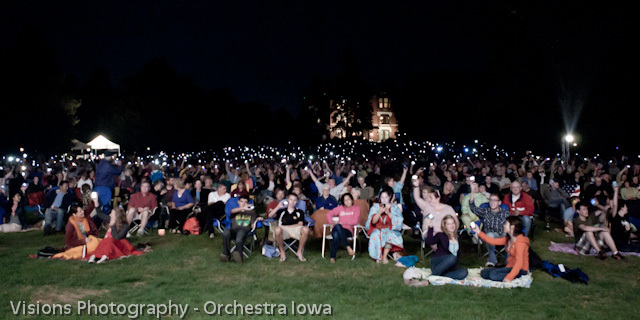 During the encore the sight of the cell phones glowing in the audience gives you an idea just how much everyone enjoyed the performance!!! 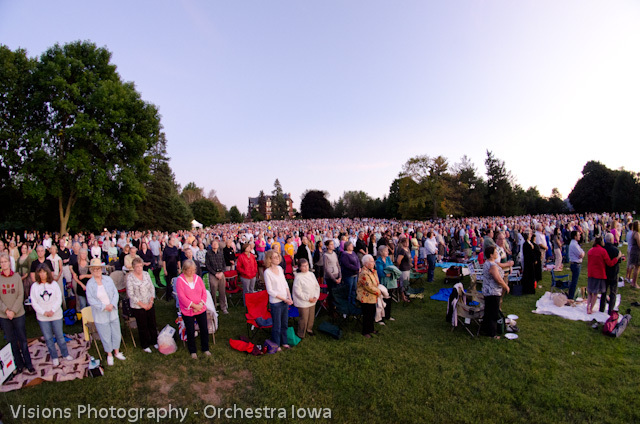 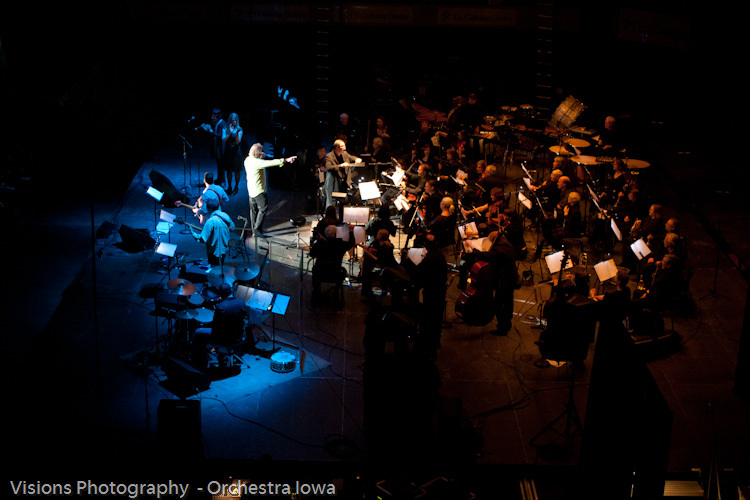 A special thank you to Orchestra Iowa for your continued trust in allowing me to photograph your events for 3 years now! 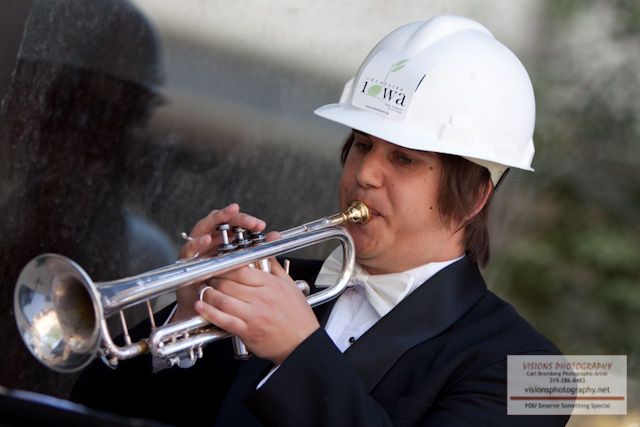 It’s always pleasure to work with your entire staff! 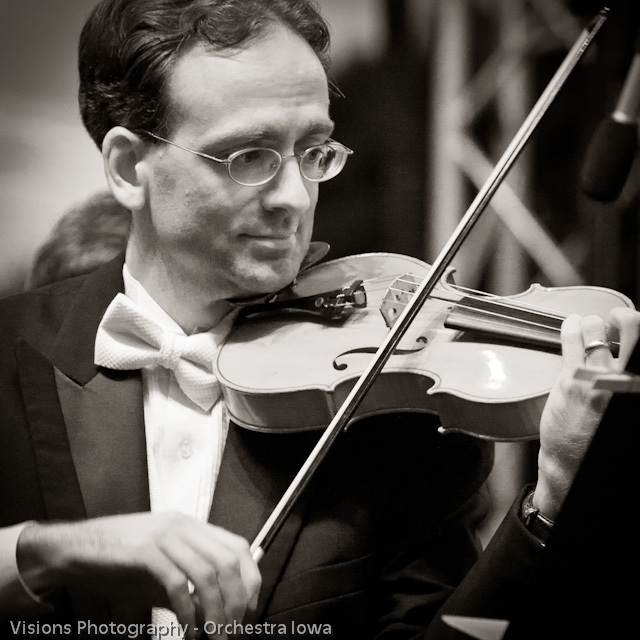 Also, special thanks to Michael Webber for his help in photographing this event on short notice! 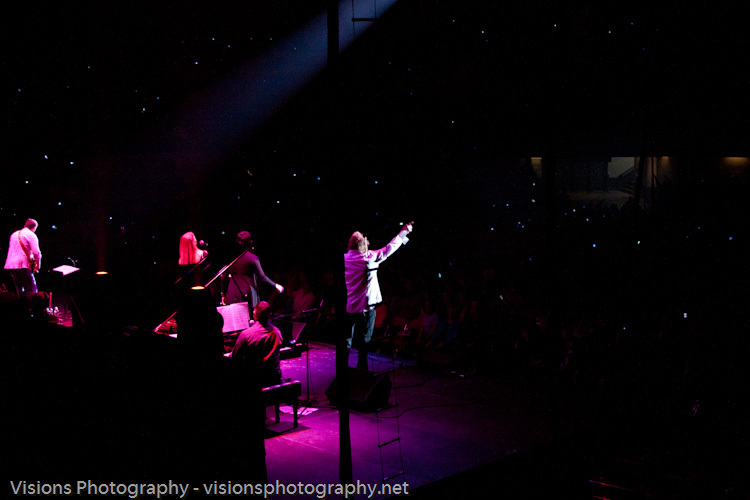 www.visionsbycarl.comYou can also see more of my work at the following sites. 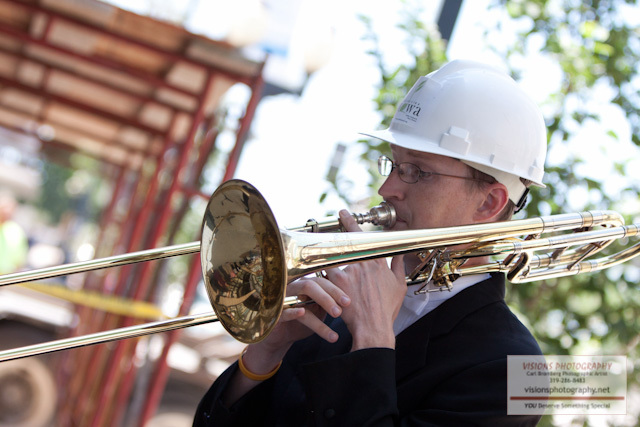 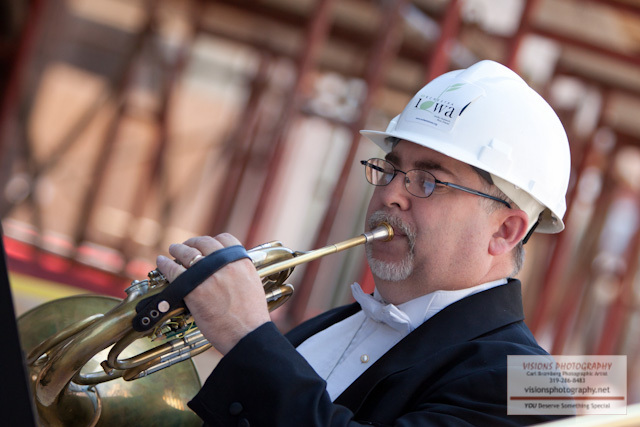 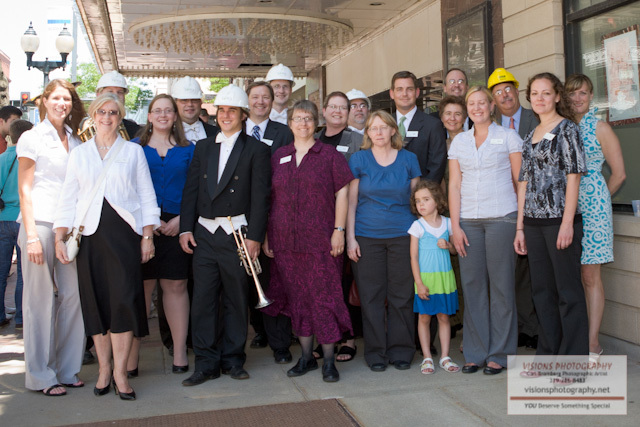 Before I get into the groundbreaking ceremonies yesterday at the Paramount Theatre in downtown Cedar Rapids, I’d like to say thank you to Orchestra Iowa for inviting me back for the 2011-2012 season as their official photographer! 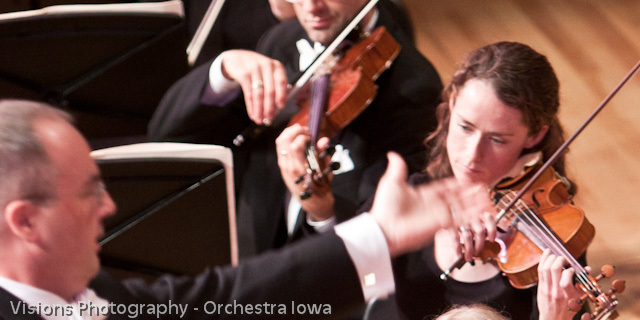 🙂 This will be my third season working with Orchestra Iowa and I’ve loved every minute of it! 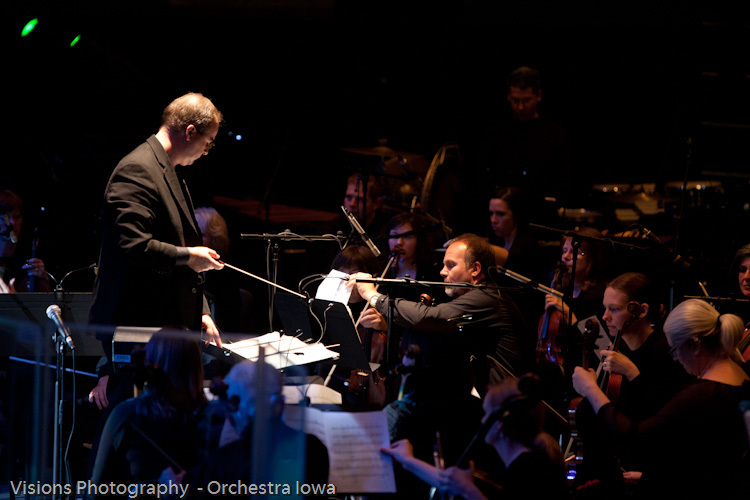 The staff that makes up Orchestra Iowa, the musicians, everyone involved are just super people and awesome to work with! 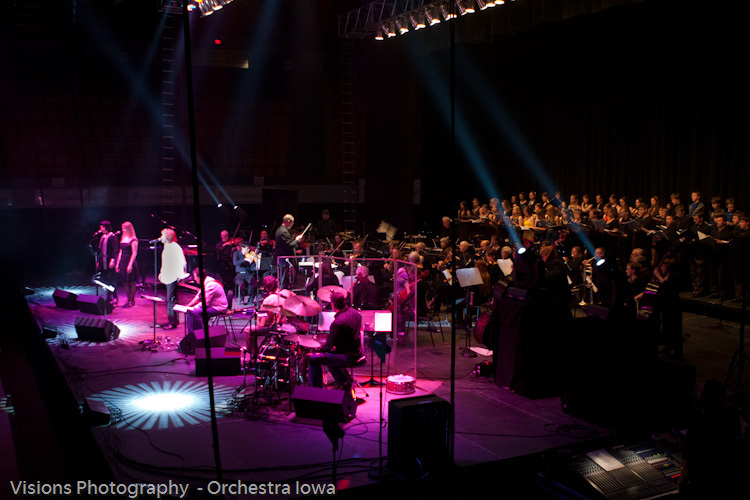 The past couple years have made me realize how much logistics are involved with every performance, setting up the stage, mixing the music for 80+ musicians, the timing, the advance planning, ticket sales, running the music school, the dedication involved is tremendous! 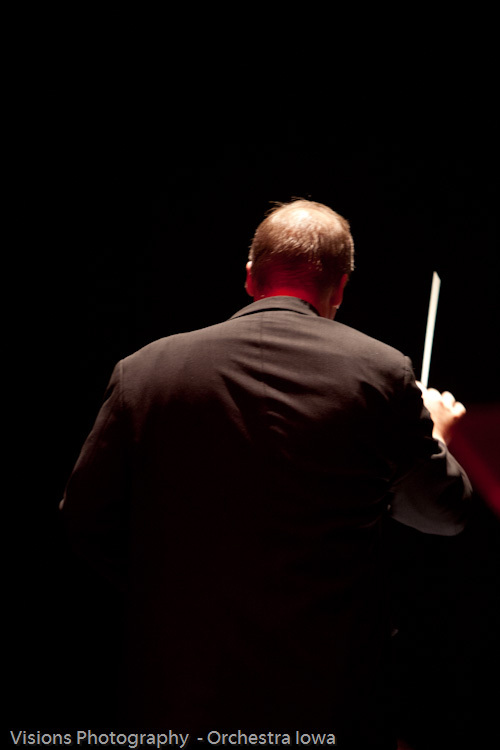 I’ve just named a FEW of the things that go into every single performance, there is so much more that goes on behind the scenes. 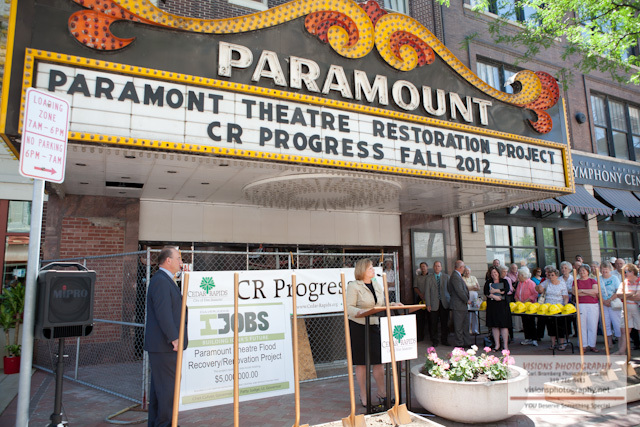 Ok now back to the Paramount. 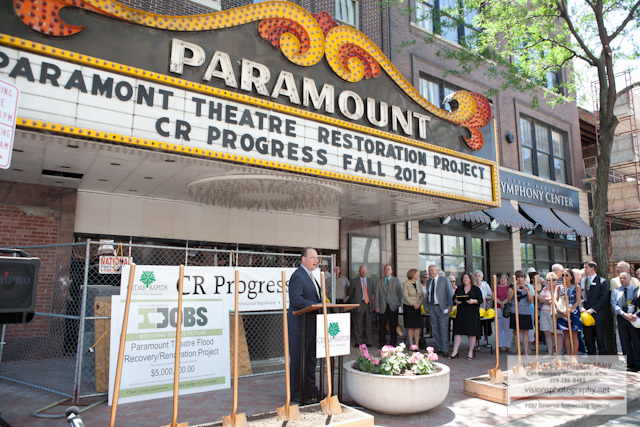 In 2008 when the flood hit our town of Cedar Rapids so hard, I can still remember seeing the pictures on TV of the Paramount under water almost to the top of the Marquee. 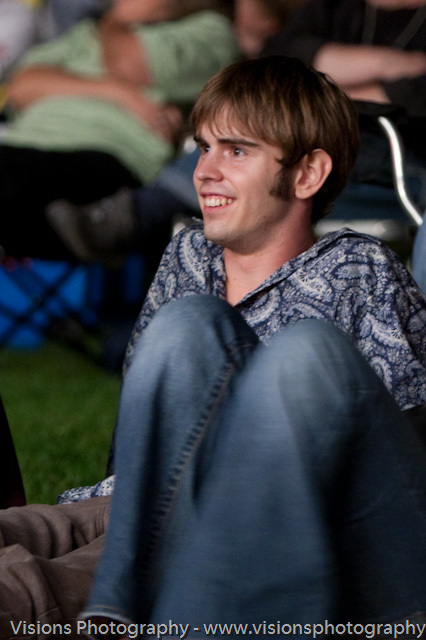 I, like many others, was heartbroken. 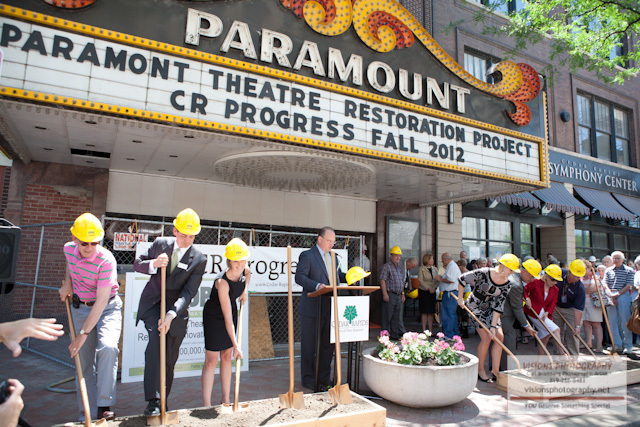 “Noooo not the Paramount!” That was my thoughts! 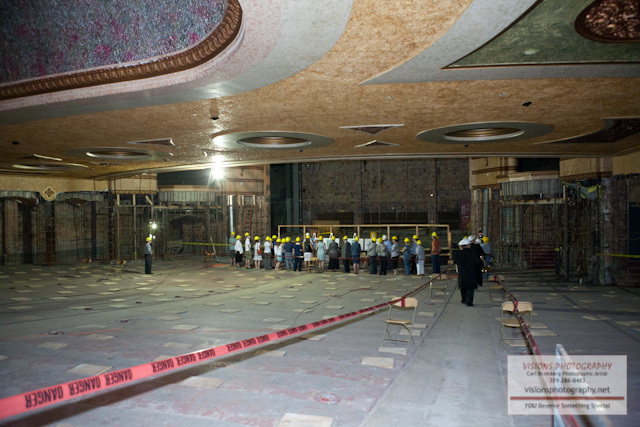 Inside the Paramount looking toward the stage. 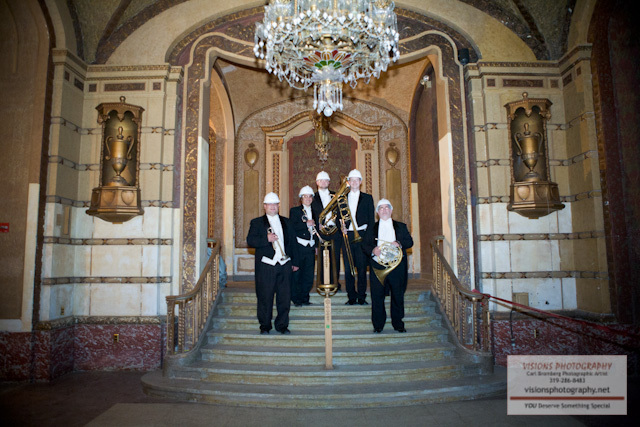 The Brass Quintet once again on the stage area, shot from the balcony. 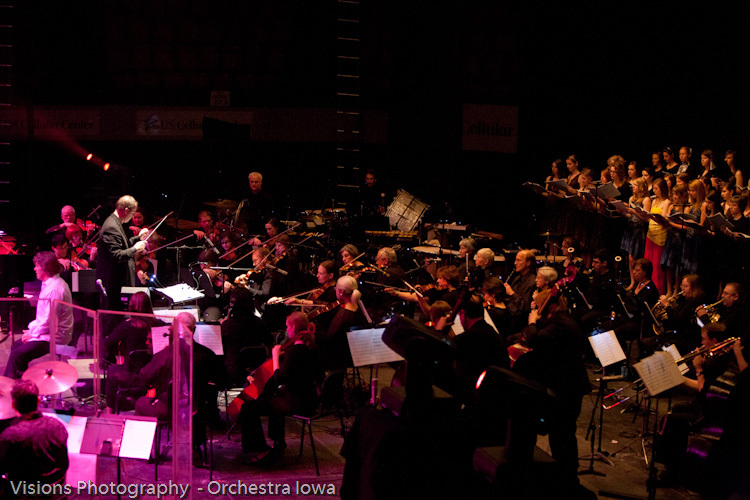 I once again had the honor of photographing a fantastic performance by Orchestra Iowa this past weekend. 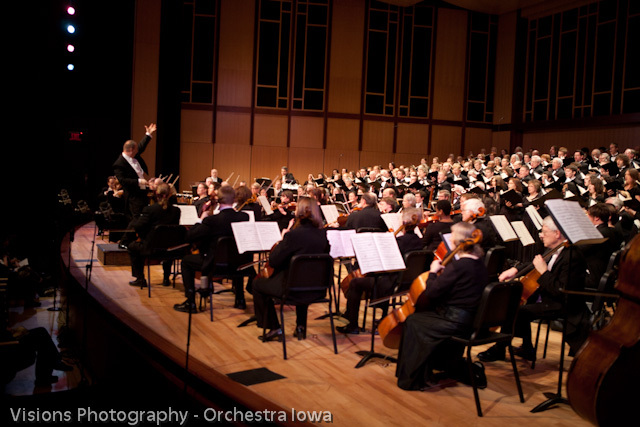 They performed a flawless example of Mahler Symphony #5! 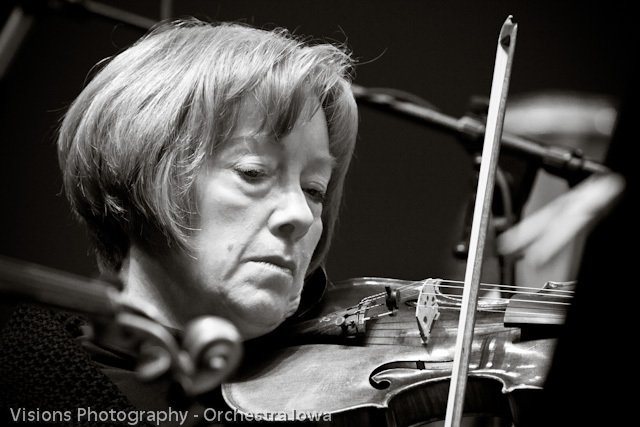 One of the things I really enjoy about photographing live music is capturing the expressions and intensity on the faces of the musicians! 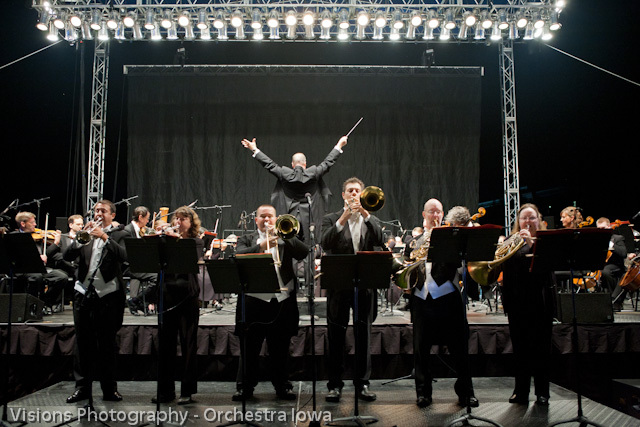 I know I have said this before, and I will probably keep saying it, we have a world class Orchestra right here in Cedar Rapids! 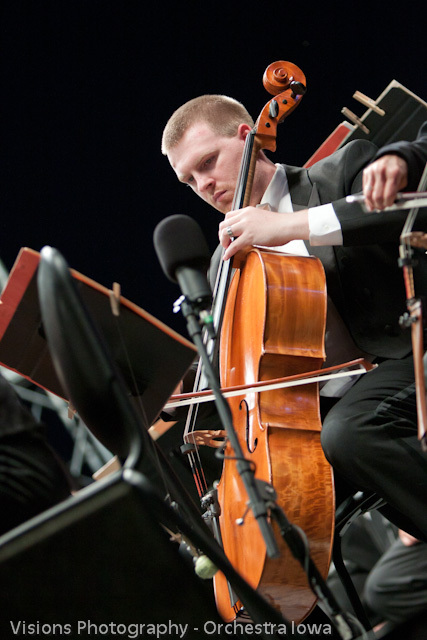 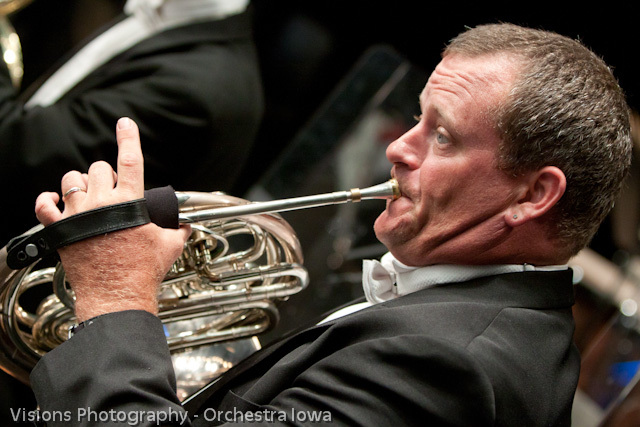 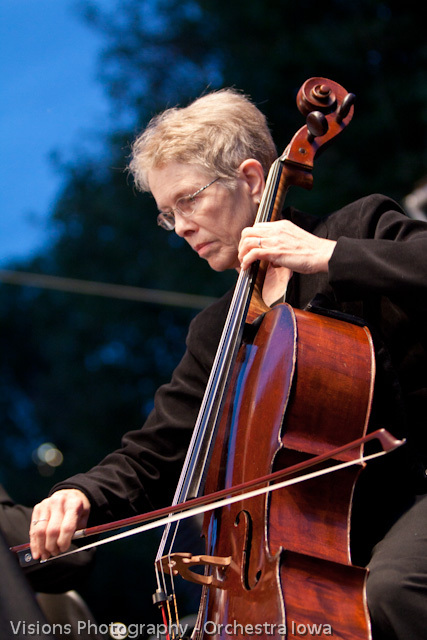 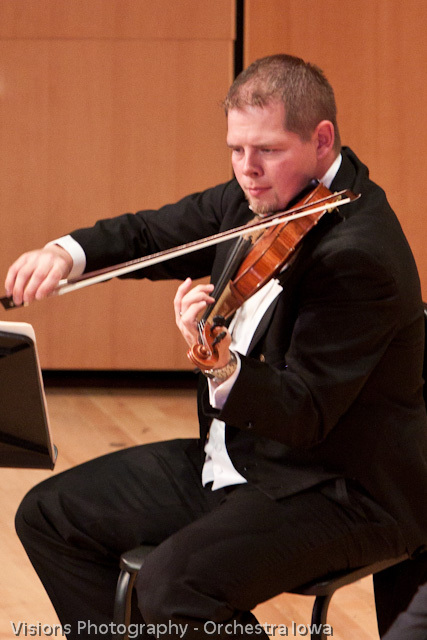 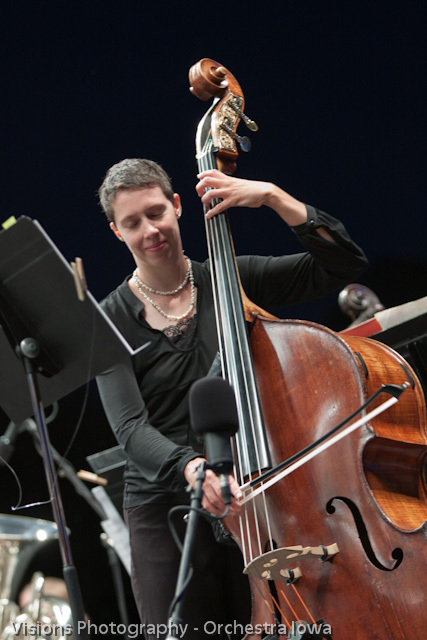 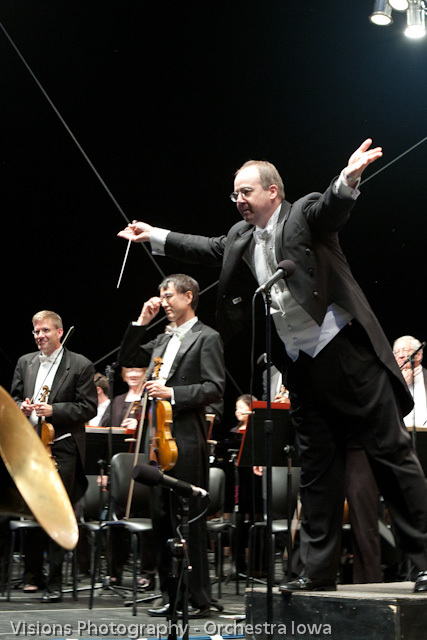 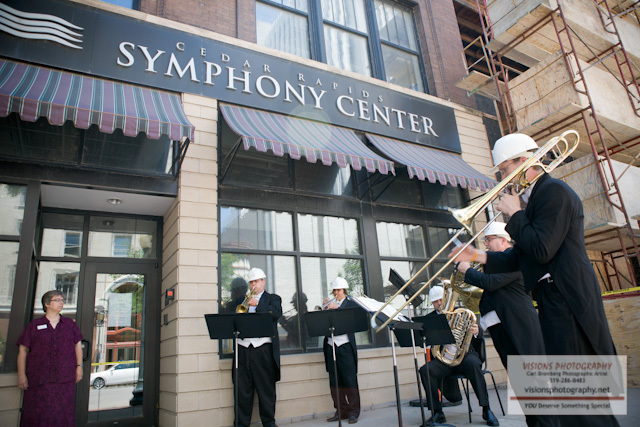 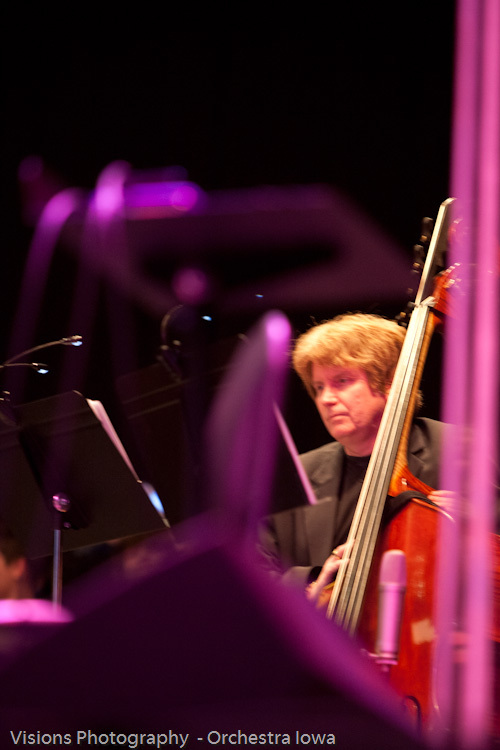 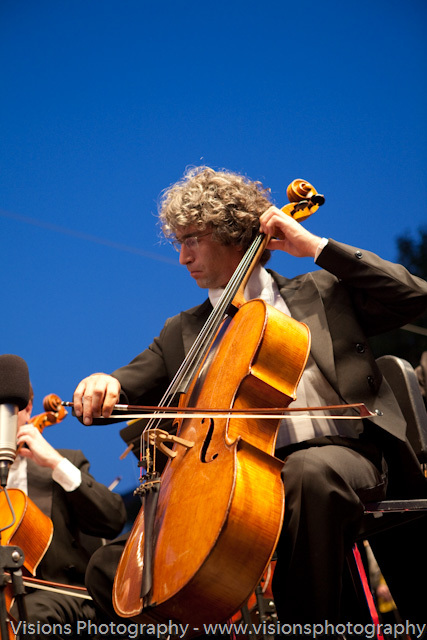 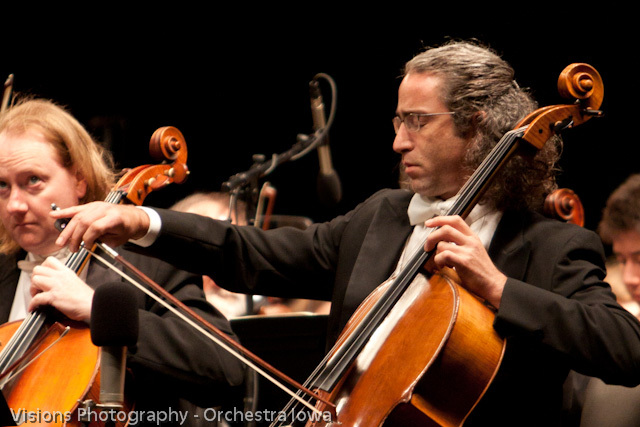 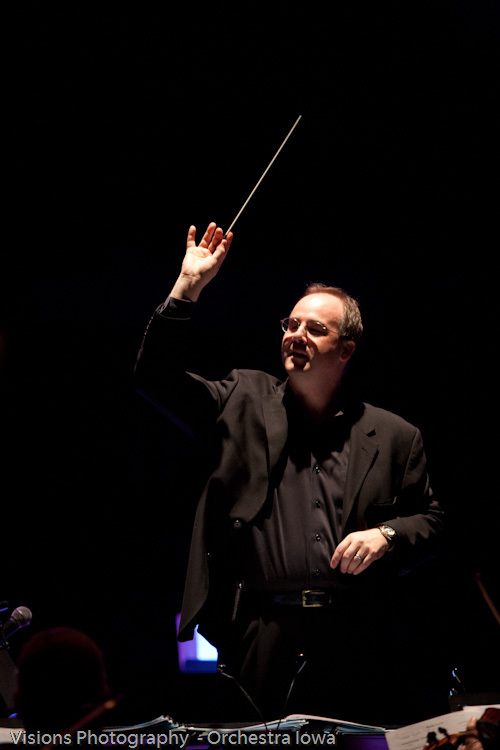 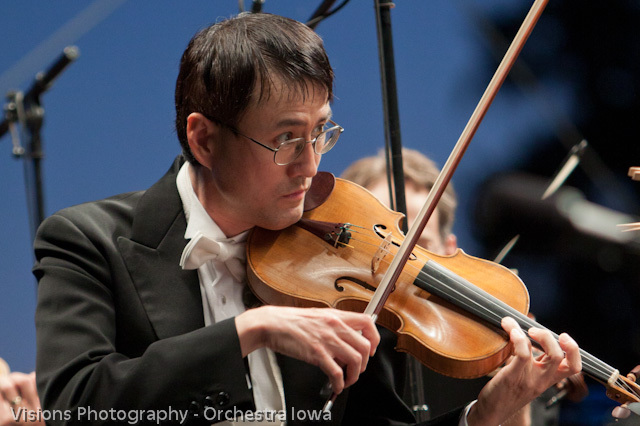 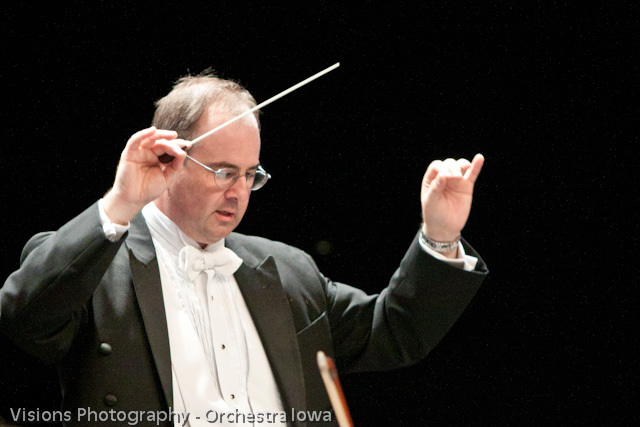 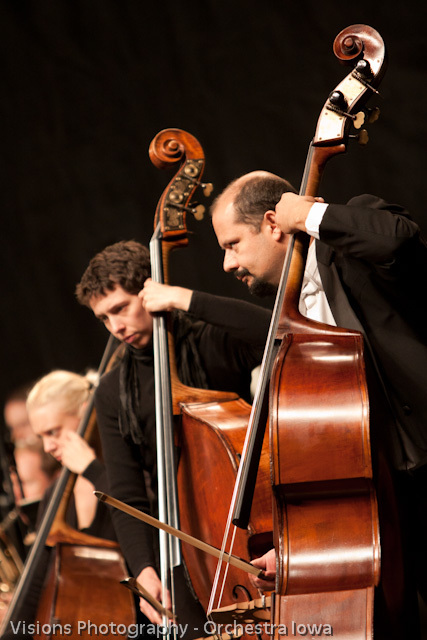 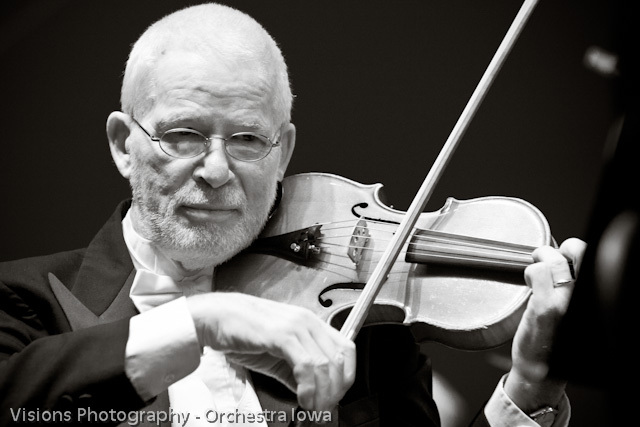 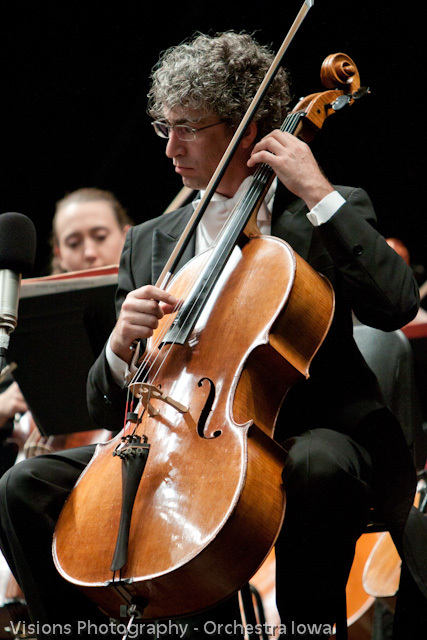 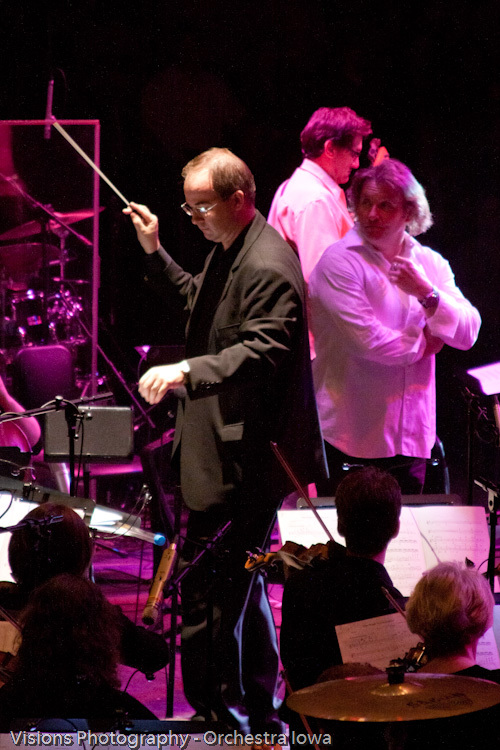 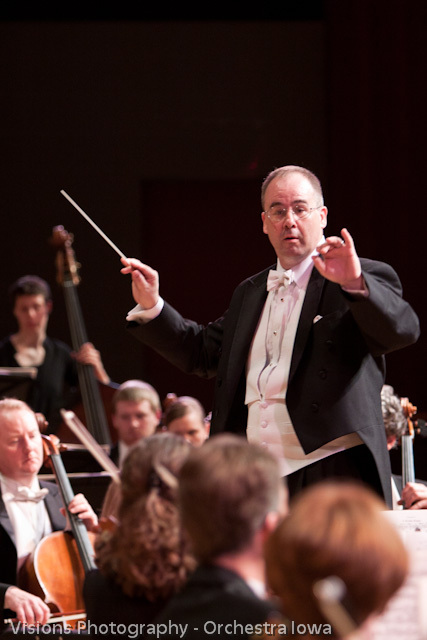 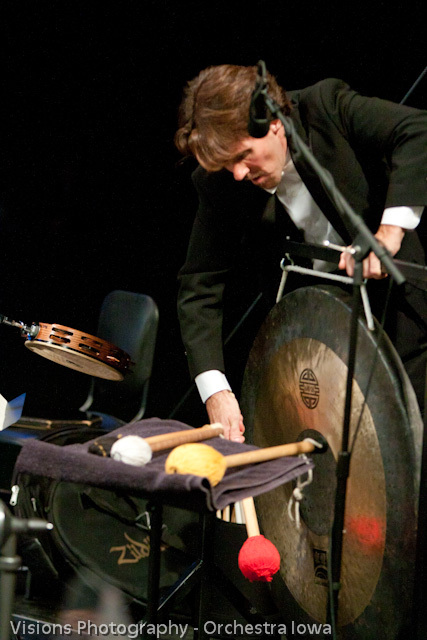 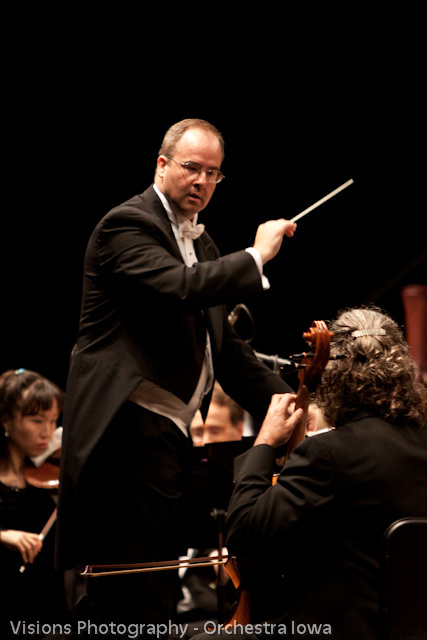 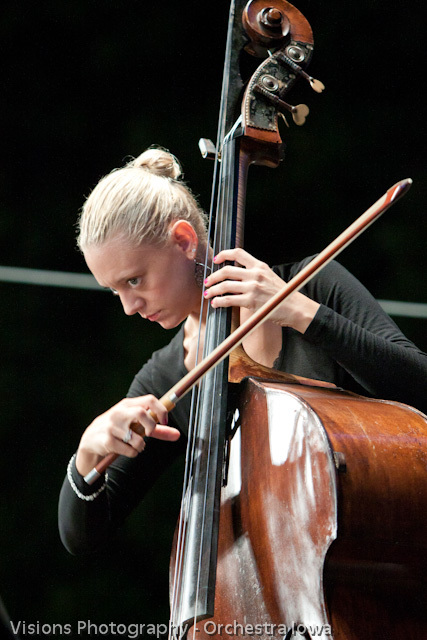 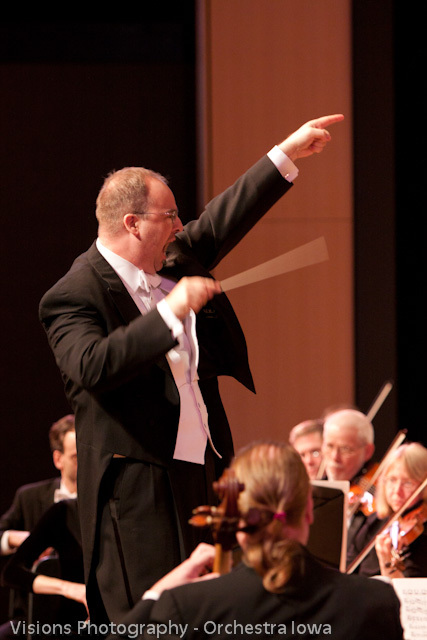 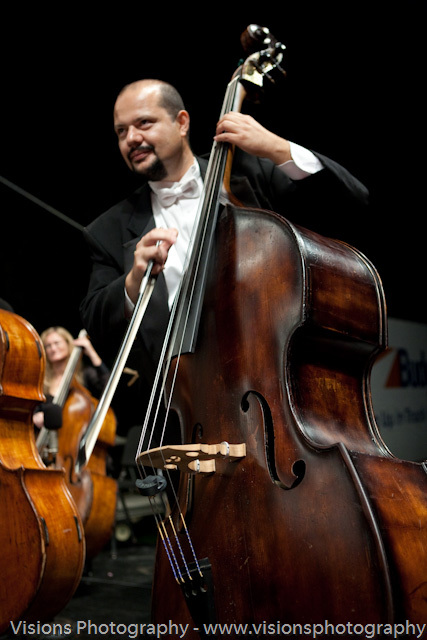 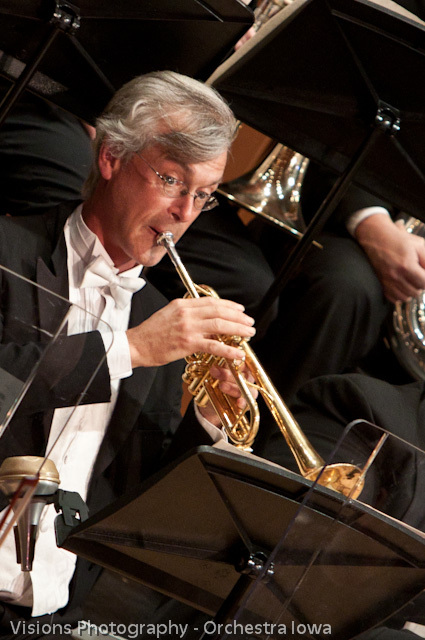 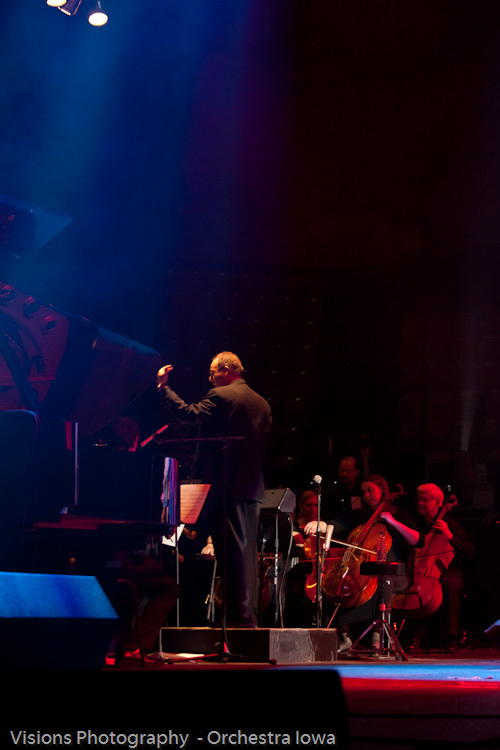 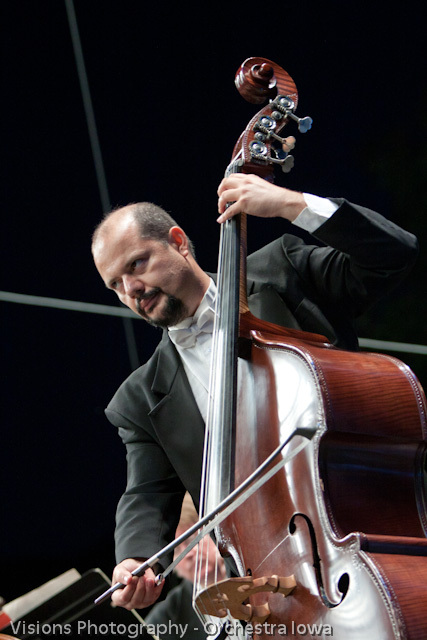 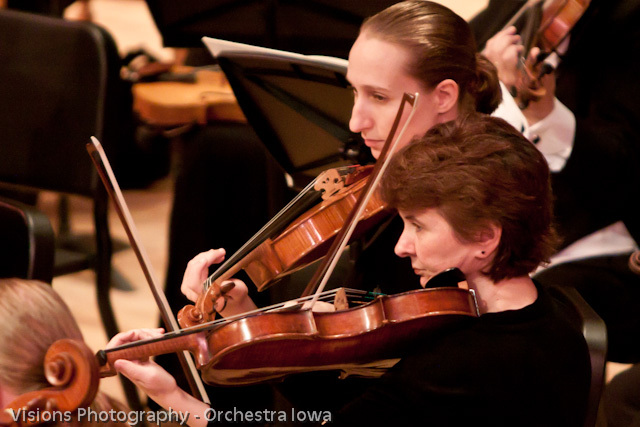 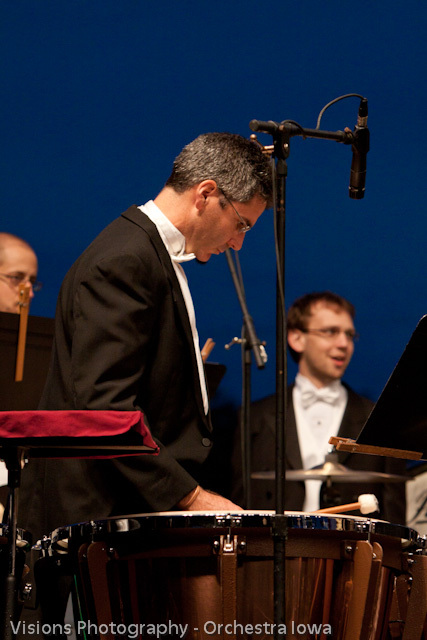 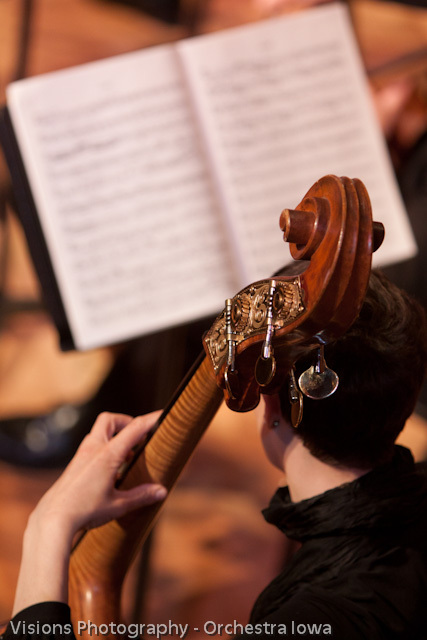 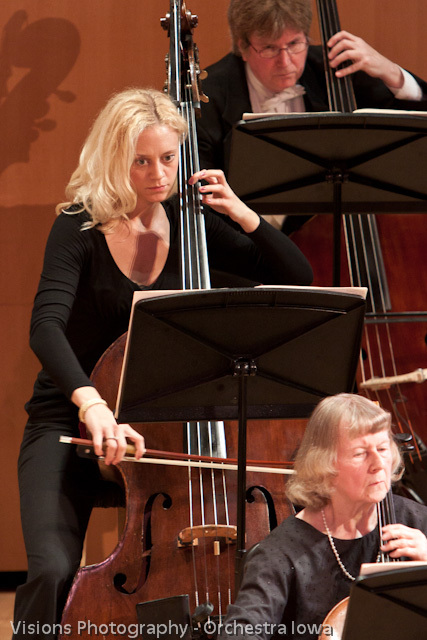 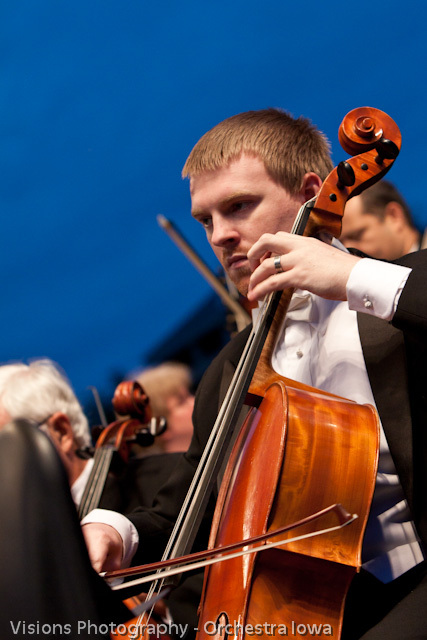 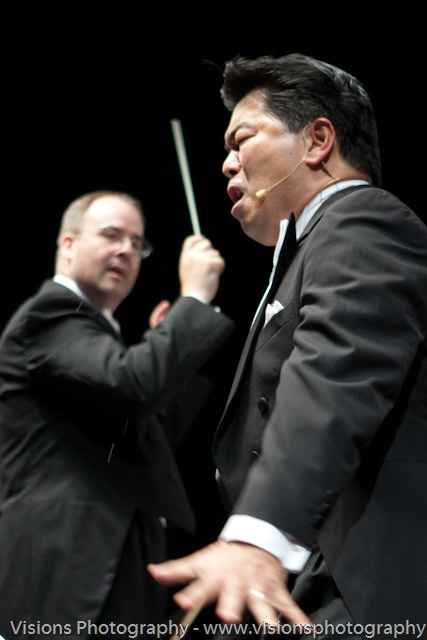 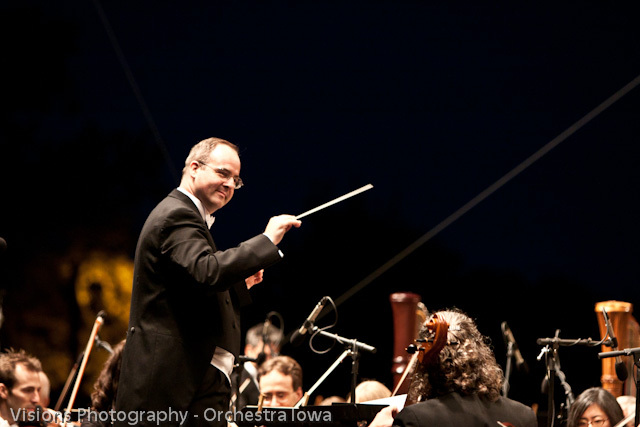 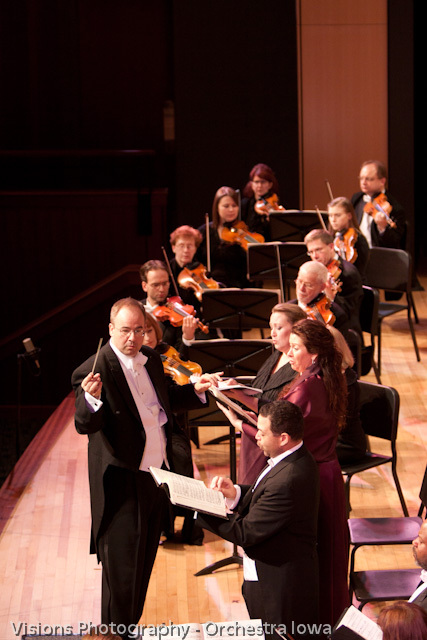 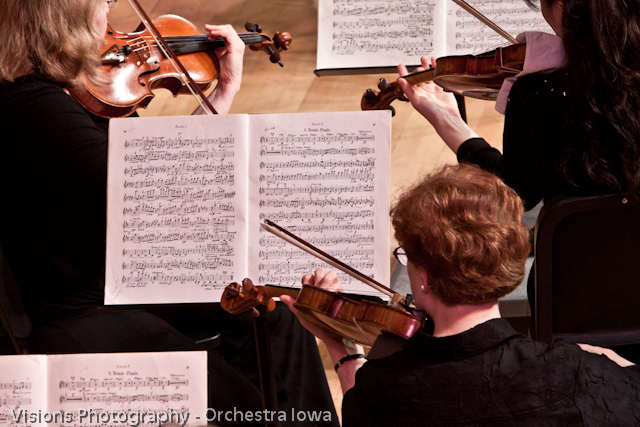 So get out to Orchestra Iowa’s web site and order your 2011 – 2012 season tickets! 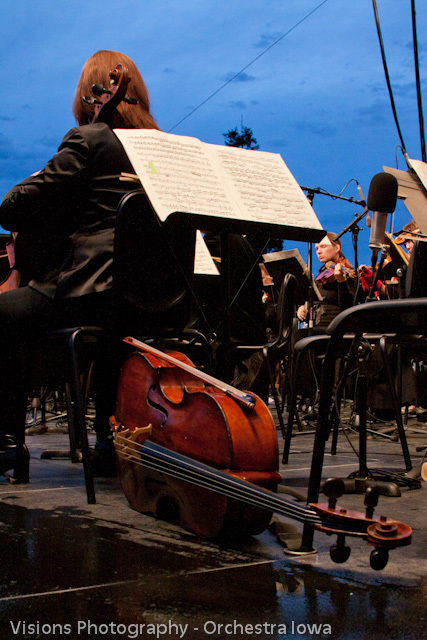 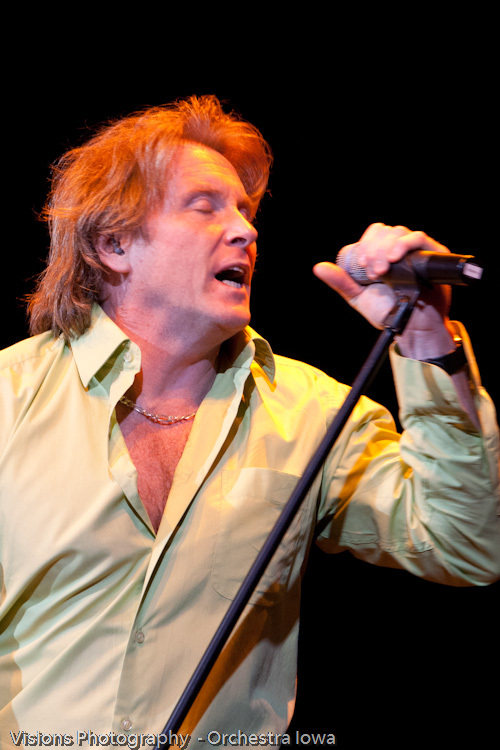 Don’t miss a single performance! 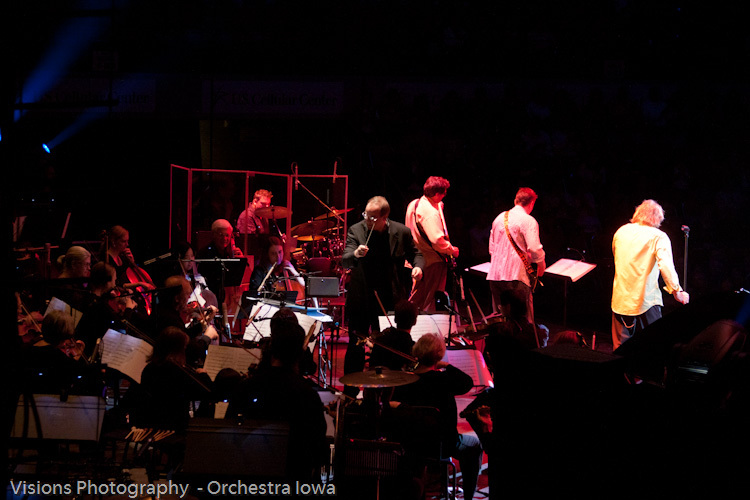 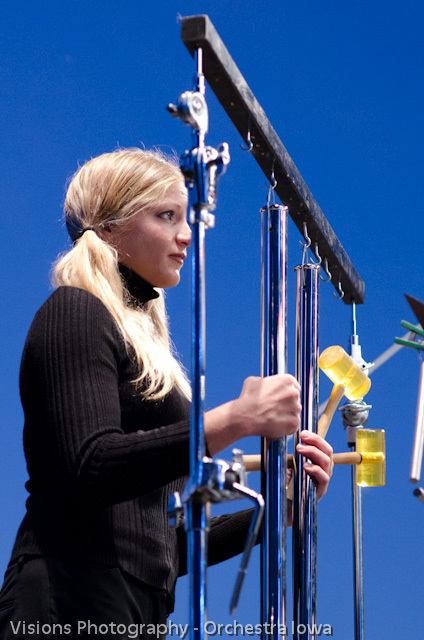 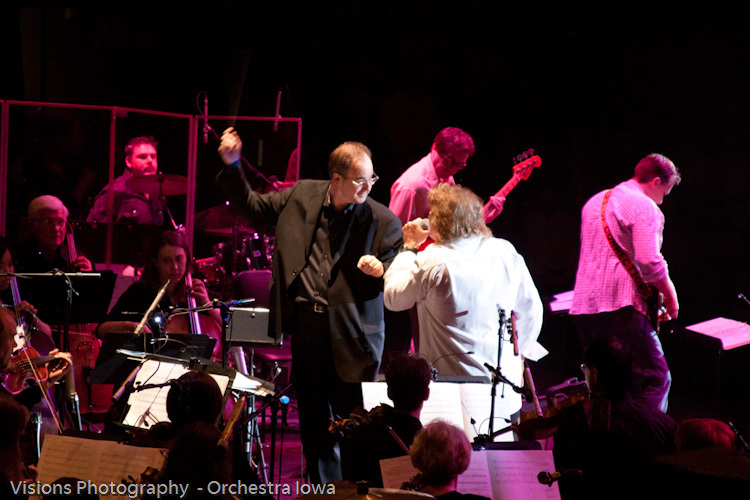 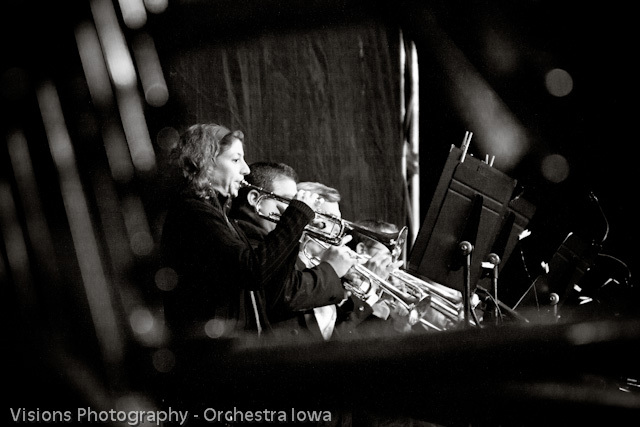 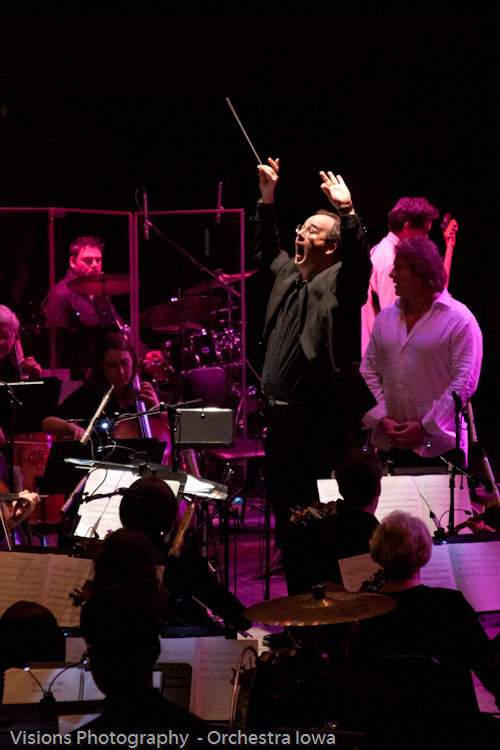 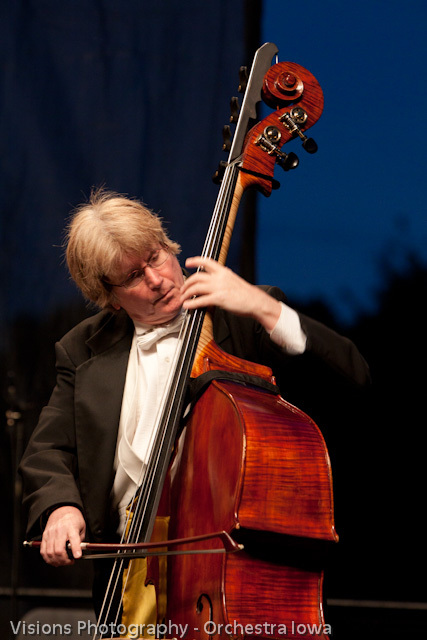 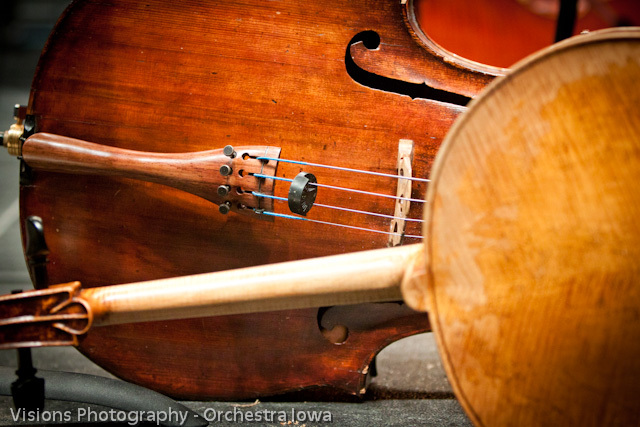 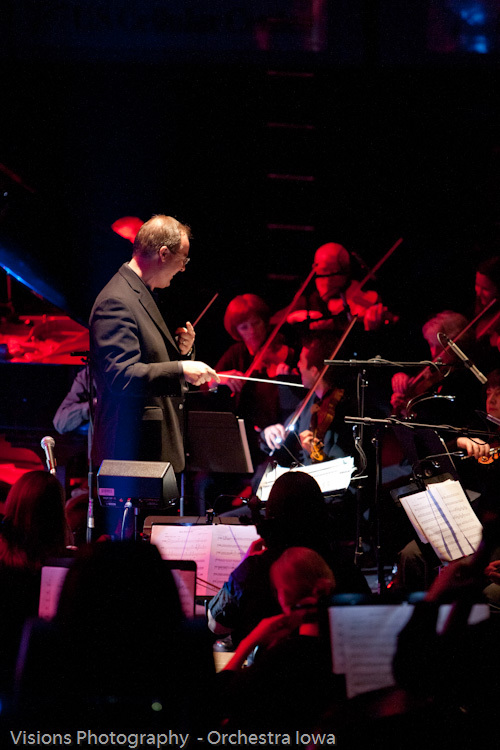 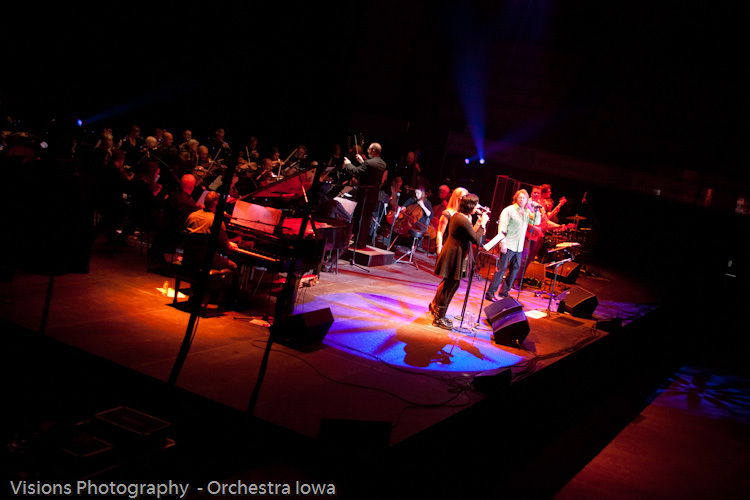 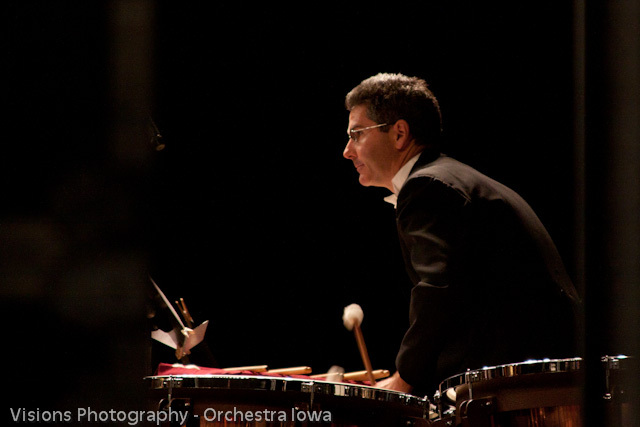 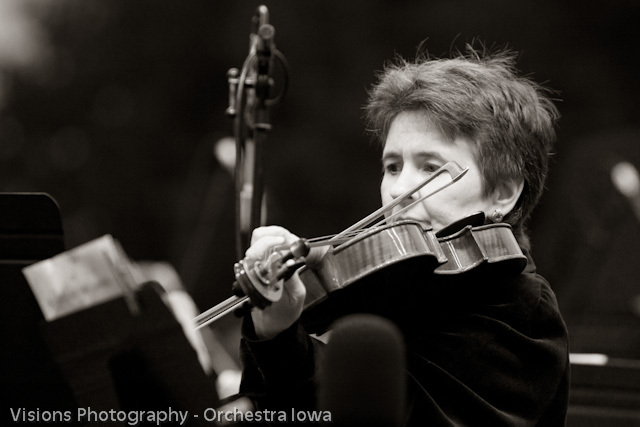 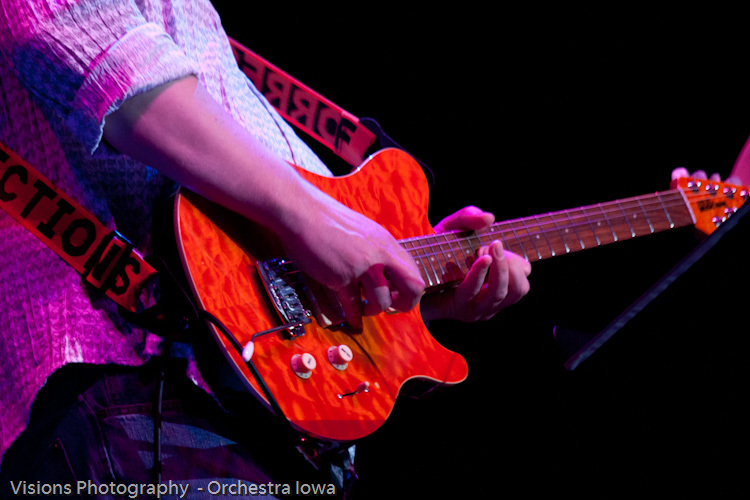 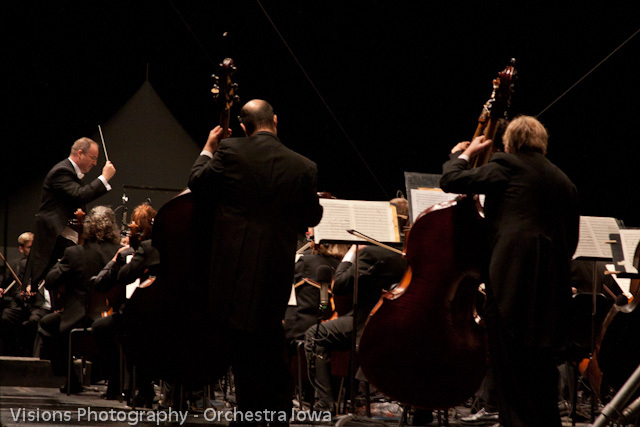 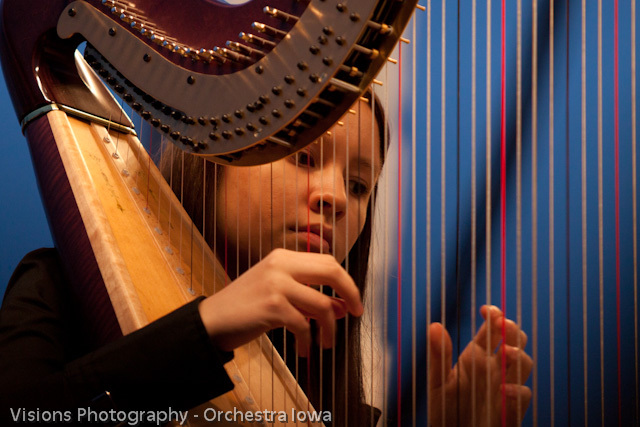 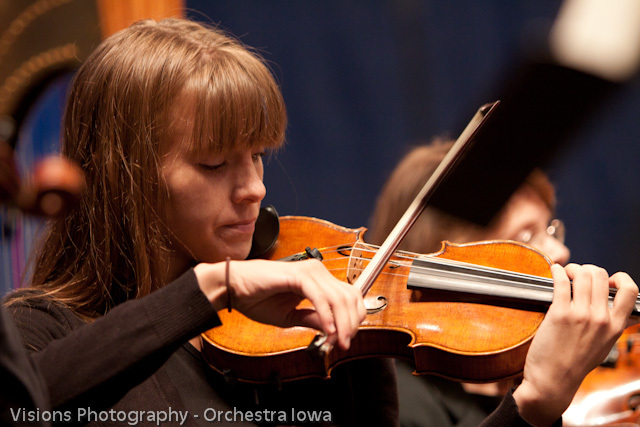 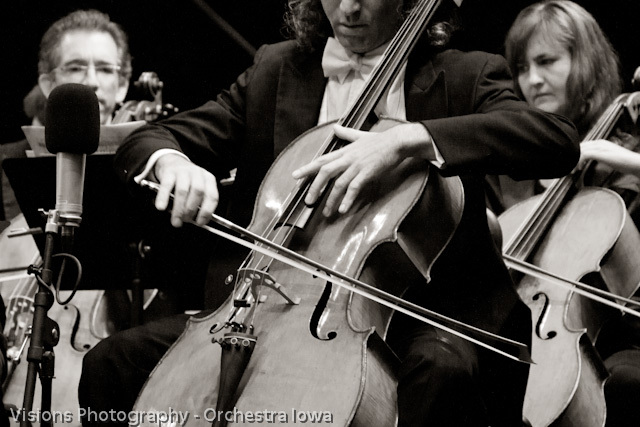 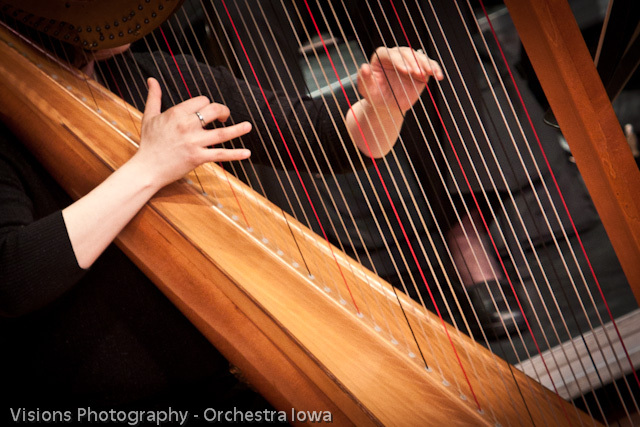 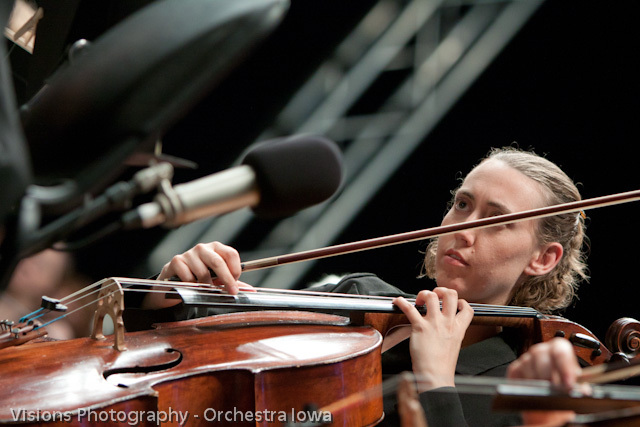 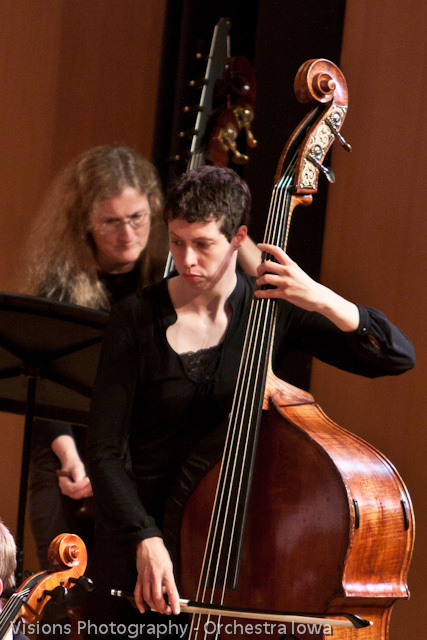 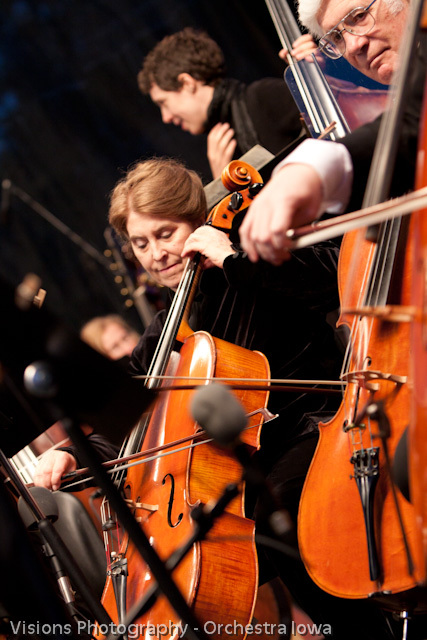 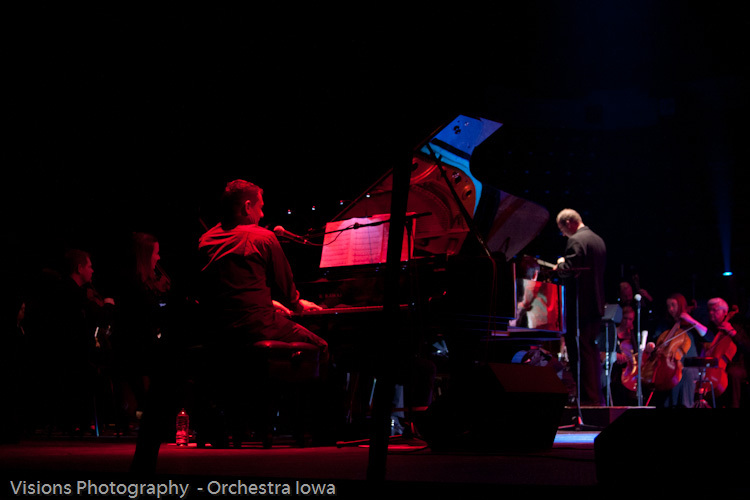 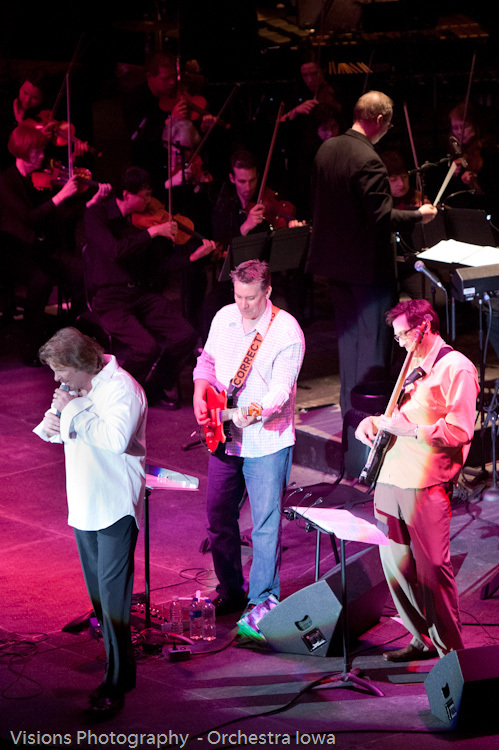 On March 19, 2011 I once again had the honor of photographing one of Orchestra Iowa’s performances! 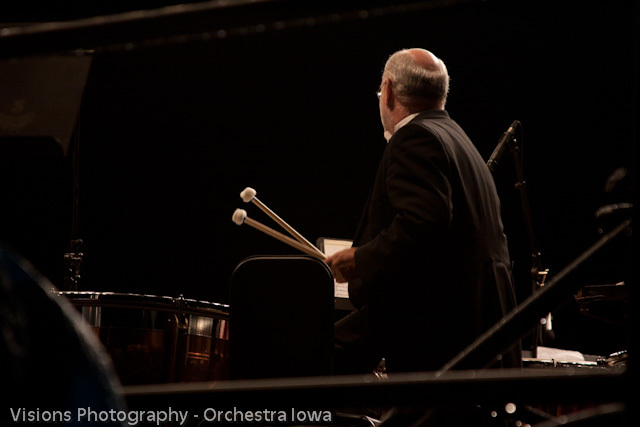 Words can’t really describe how much I enjoy these events and working with the great people and musicians that make up Orchestra Iowa! 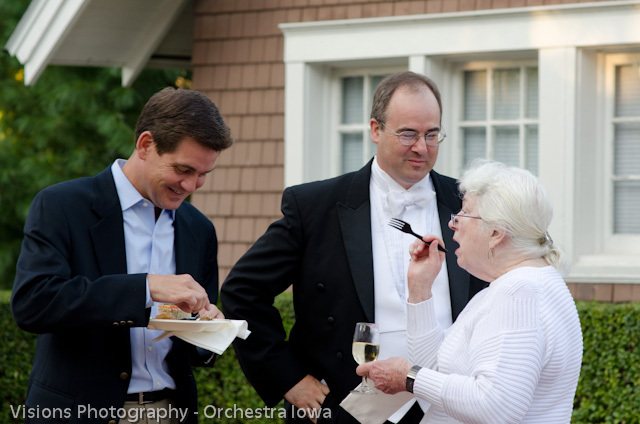 I arrive and talk specifics with Christy Frost and Robert Massey on what they are looking for. 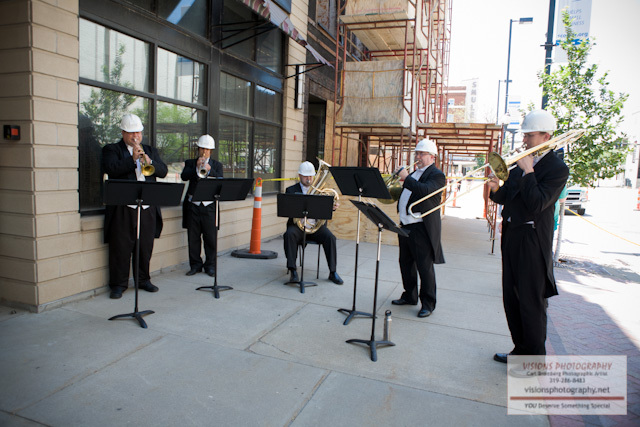 We scope out my “spots” which varies with the different venues. 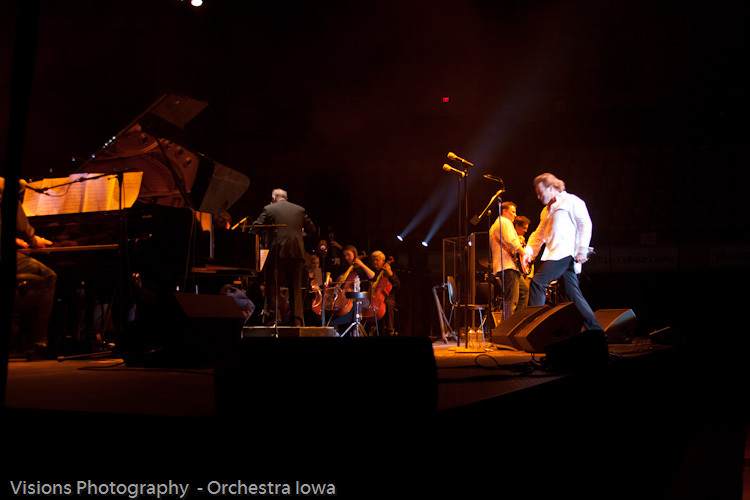 This venue was the Concert Hall at College Community which has some of the best acoustics in this area. 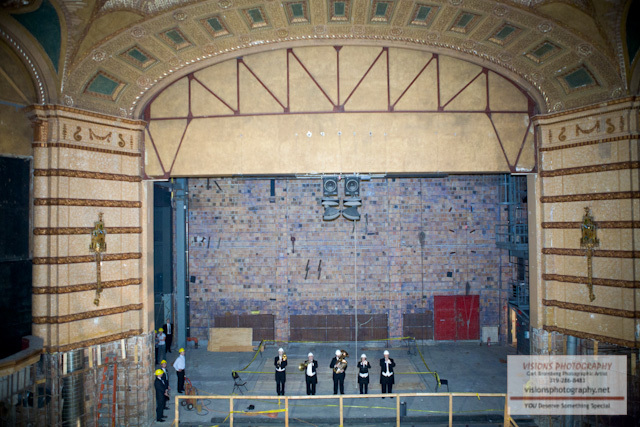 The musicians start their warmup which gives a subtle hint of the great performance about to unfold. 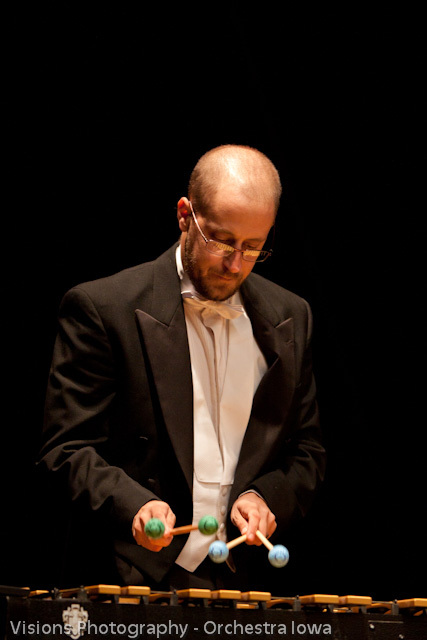 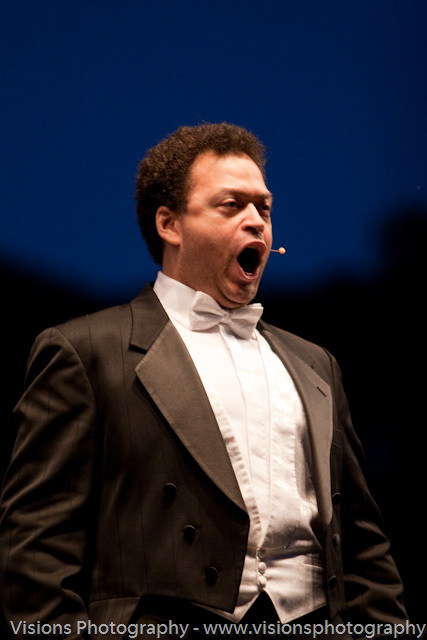 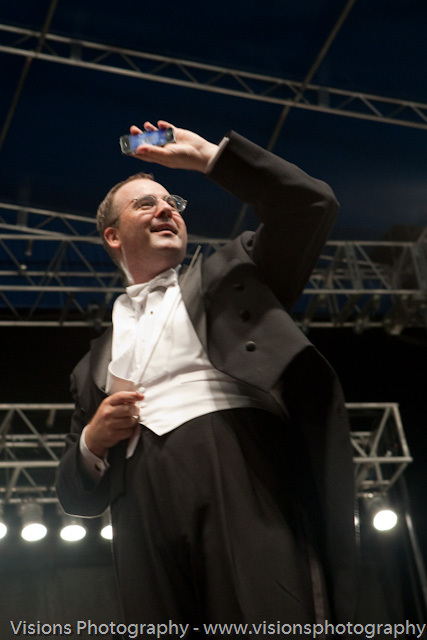 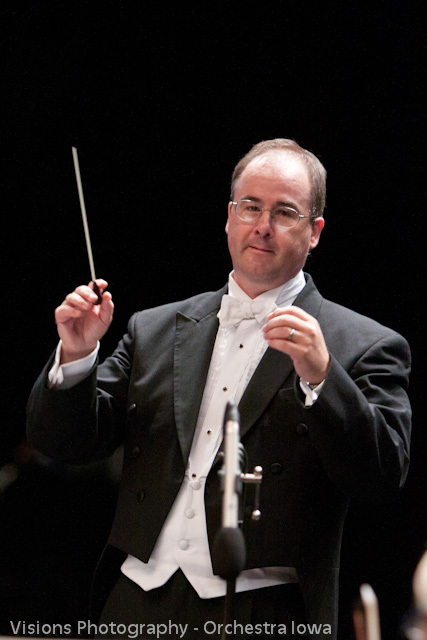 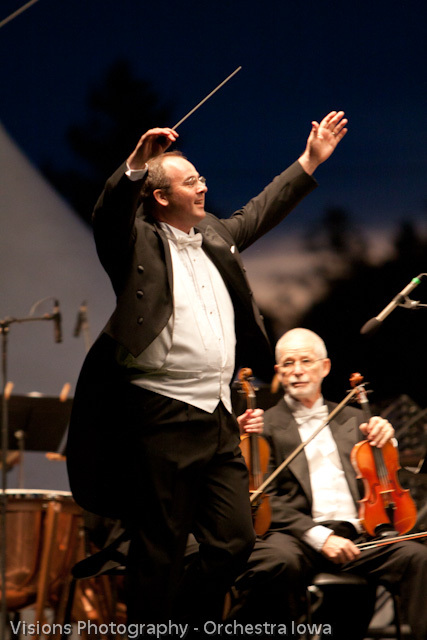 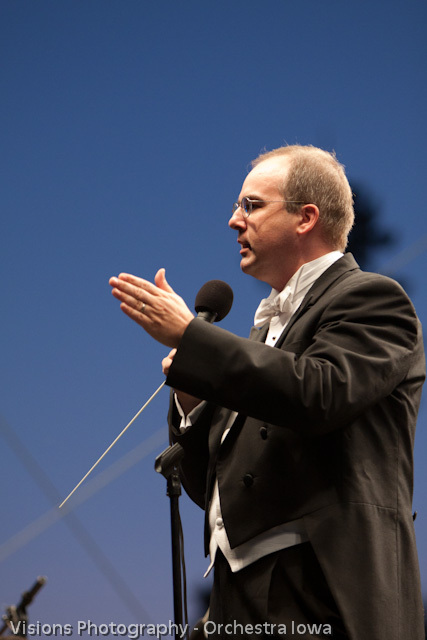 Then silence for a few minutes until maestro Timothy Hankewich comes on stage and takes charge. 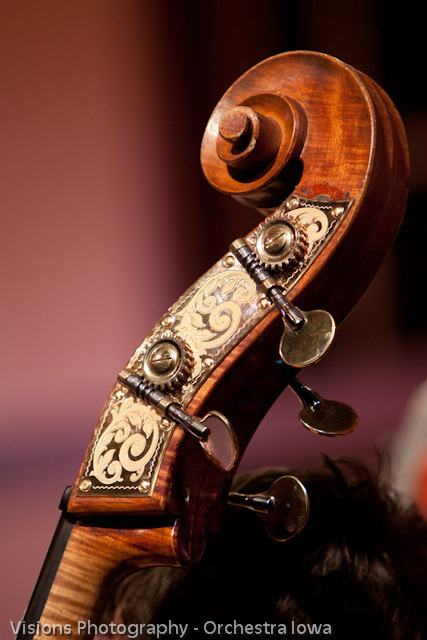 The music starts…. 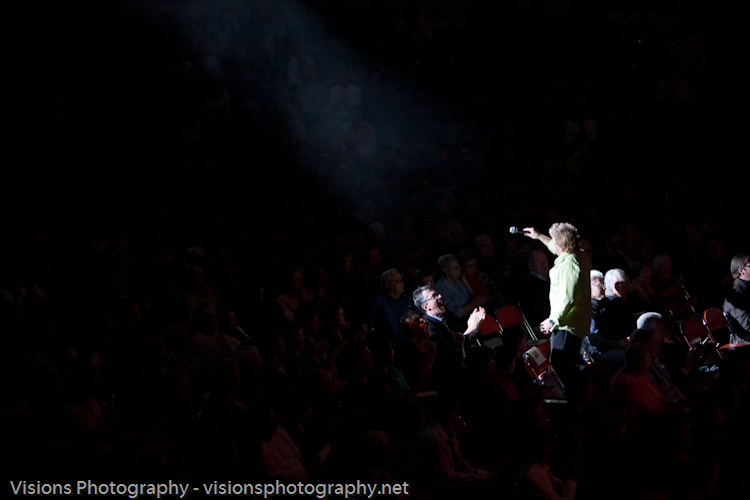 It’s hard for me to describe what happens next, but I’m gonna try! 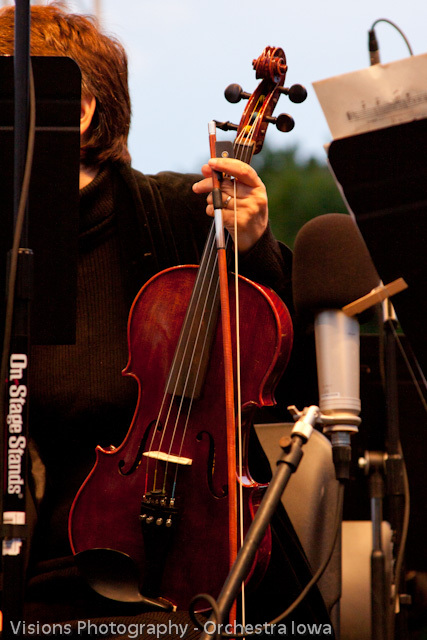 🙂 Once the music starts the best way I can describe it is I just zone out. 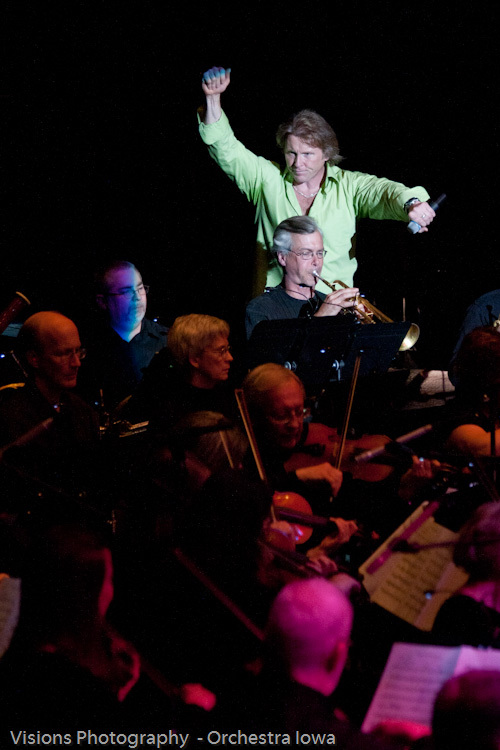 I see the faces on the musicians, hear the music, the music inspires me, and that just multiplies on itself throughout the performance. 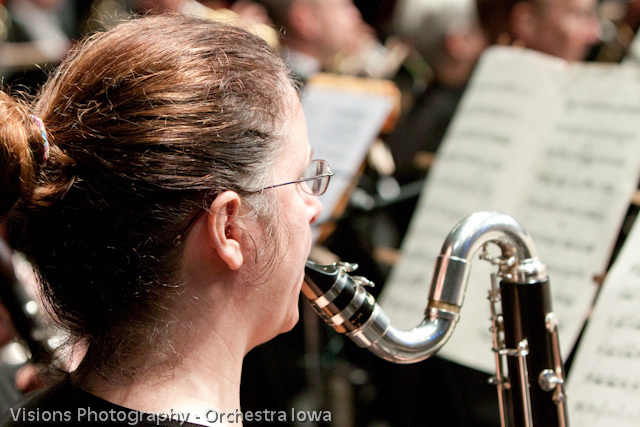 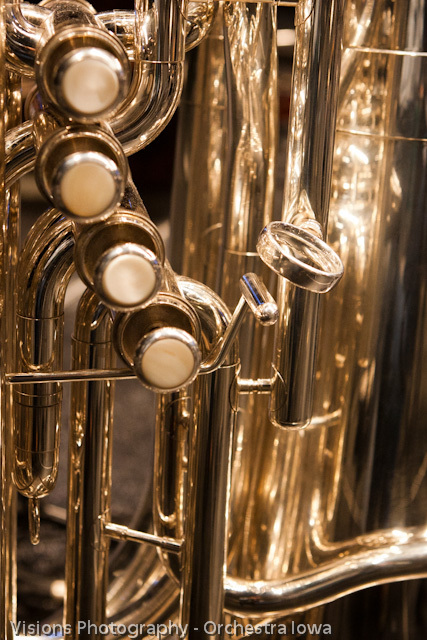 A special Thank You to Orchestra Iowa for placing your trust in me and allowing me to photograph their events! 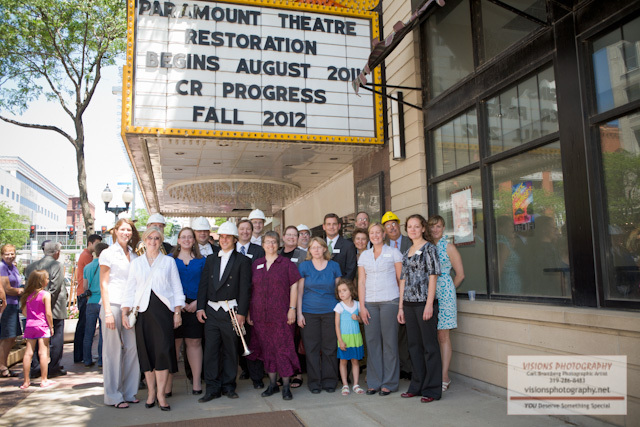 Thank you to Claire McGranahan also for helping out at this event! 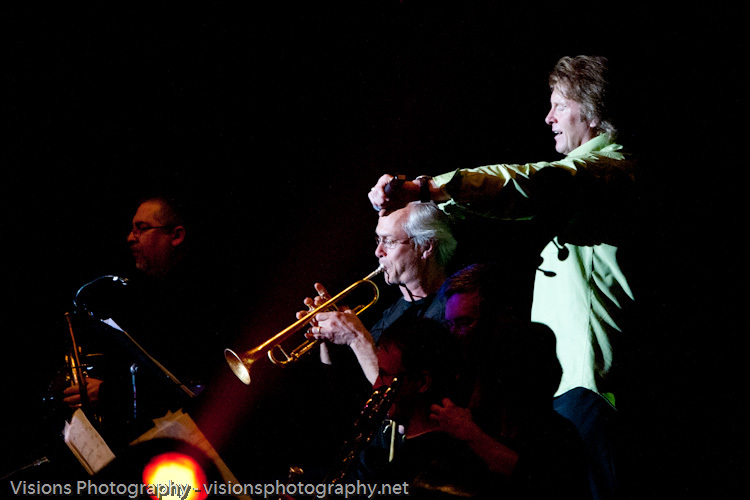 Great job and great eye! 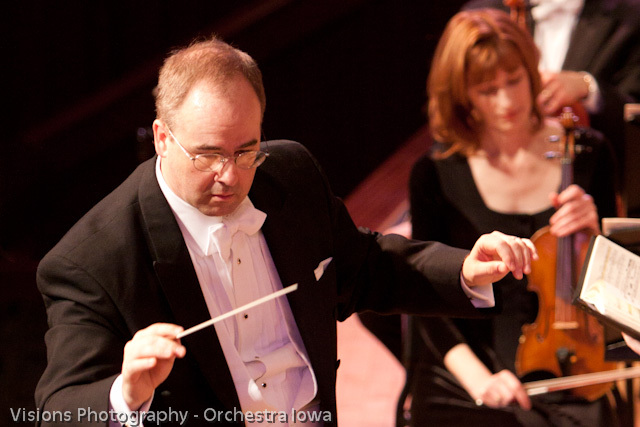 Saturday, September 18, a day that will long be remembered by the staff of Orchestra Iowa! 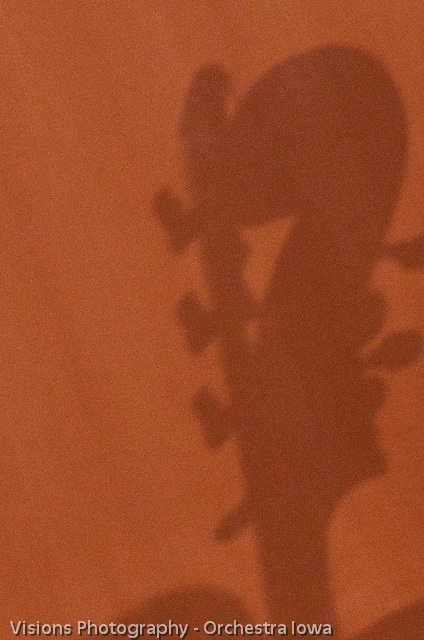 It rained pretty hard for a couple of hours in the late afternoon. 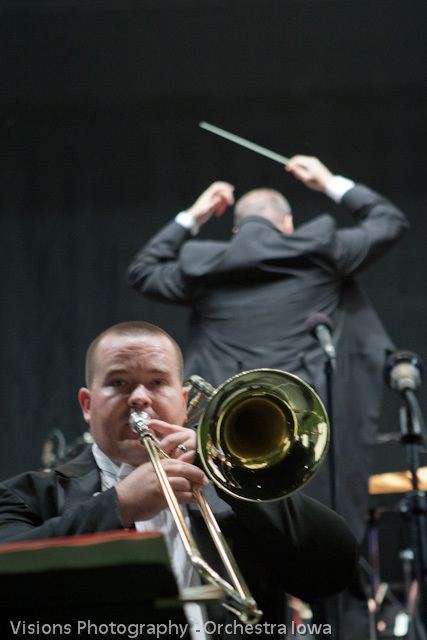 It let up with about a three to four-hour window with no rain about 5pm, so they decided the show must go on! 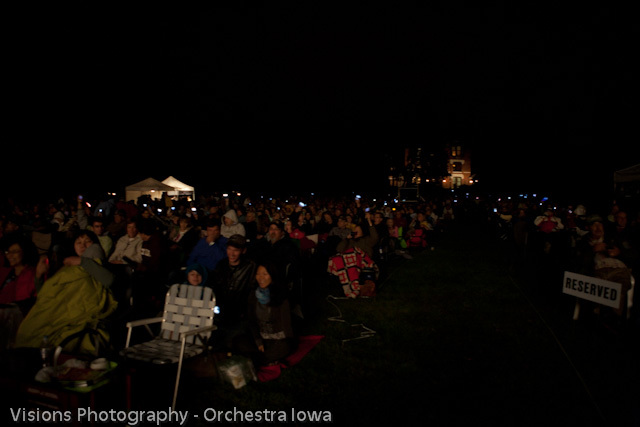 Then about an hour and a half before things were to begin, the main generator for the lights went out. 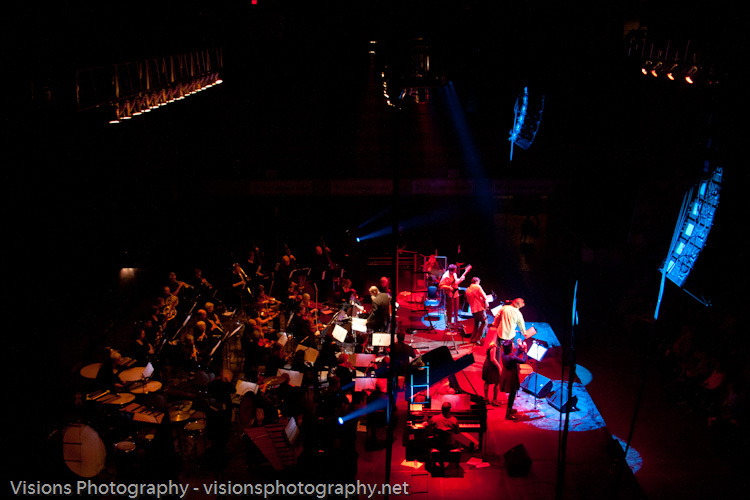 The lights also provide some warmth for the musicians. 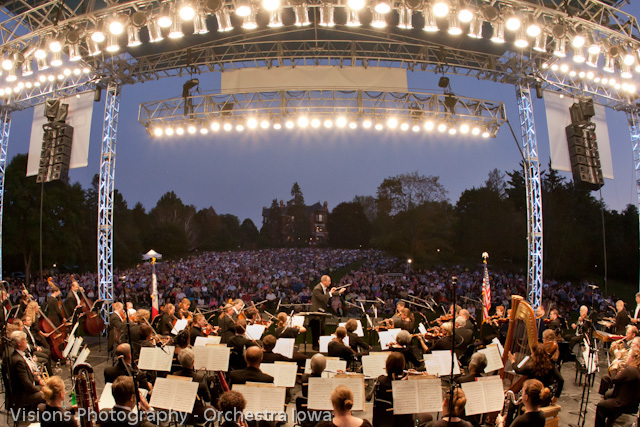 Despite the things Mother Nature threw at them, and the technical difficulties, Orchestra Iowa put on a flawless performance on a very cool and damp night! 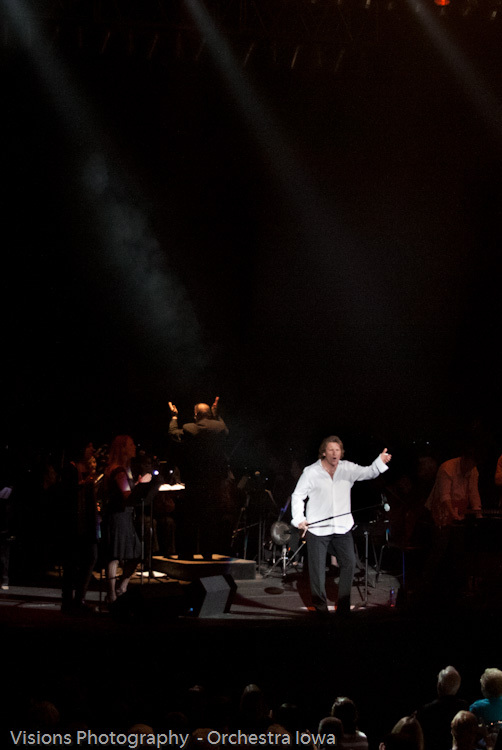 2500+ patrons turned out and cuddled up in their blankets with glasses of wine to witness the performance despite the weather! 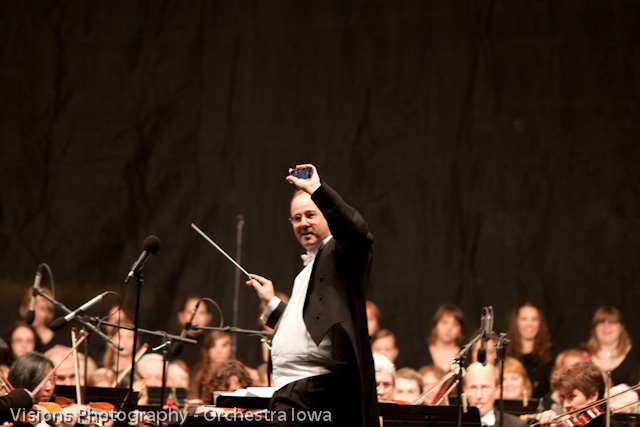 The second half consisted of Holst “The Planets”, and was accompanied by hi def NASA footage on a big screen. 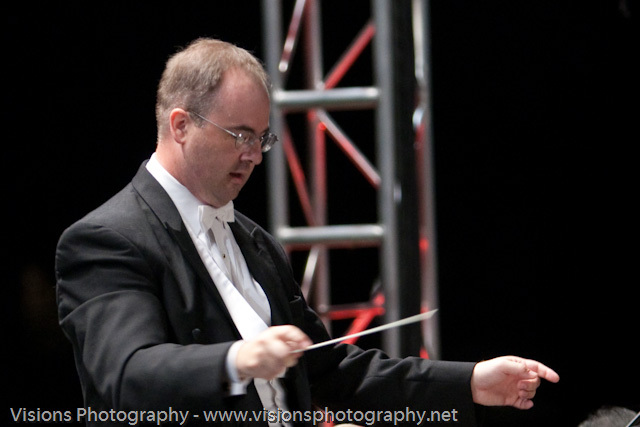 The finale was the Theme from Star Wars! 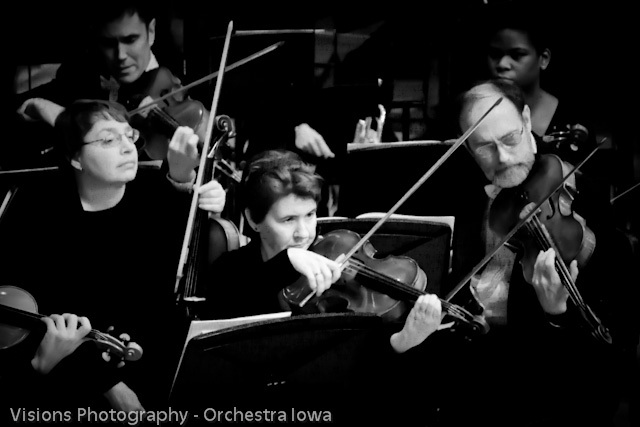 I’m honored to be working with Orchestra Iowa for my 2nd year now! 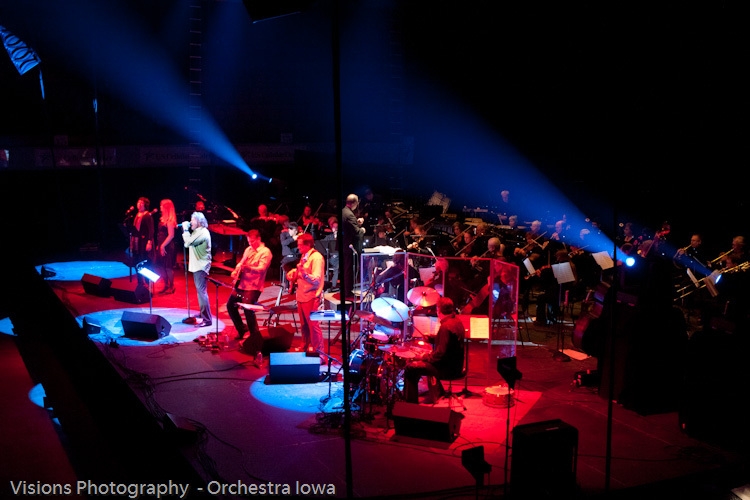 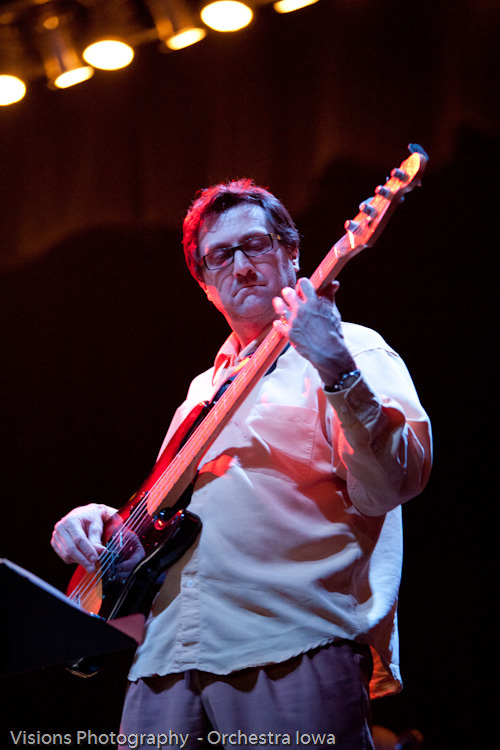 I would like to thank the staff and musicians for being so kind and easy to work with. 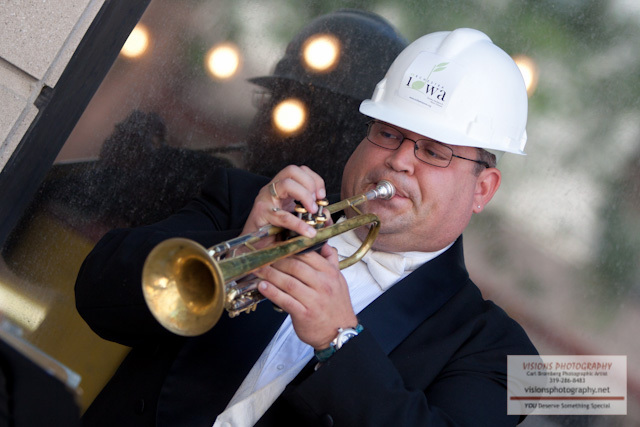 A special thanks also to Jaime Moquin for helping out with this event, I Soooo appreciate you having been there and braving the elements! 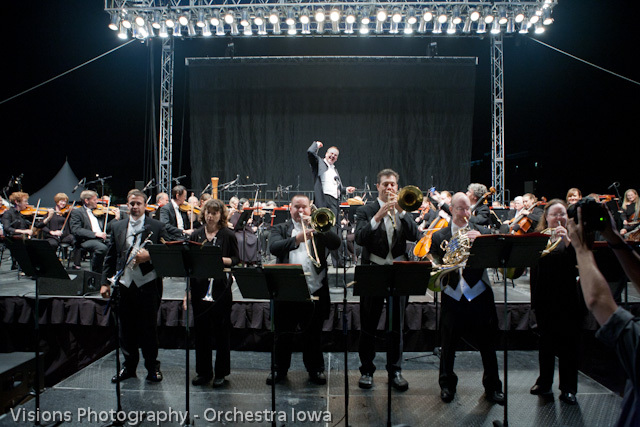 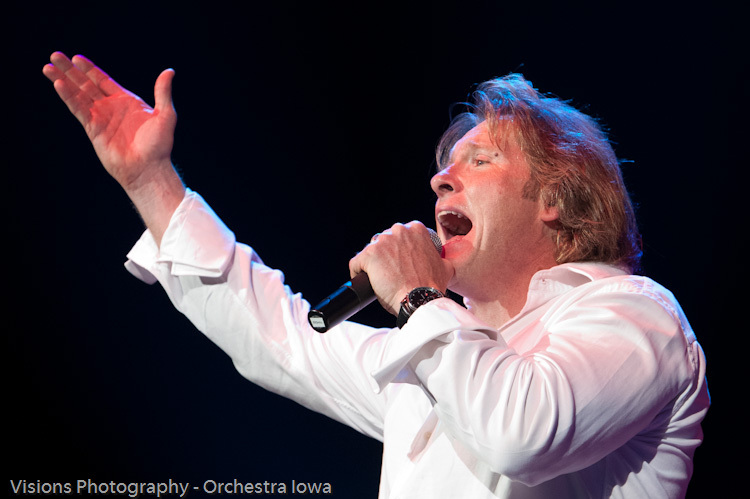 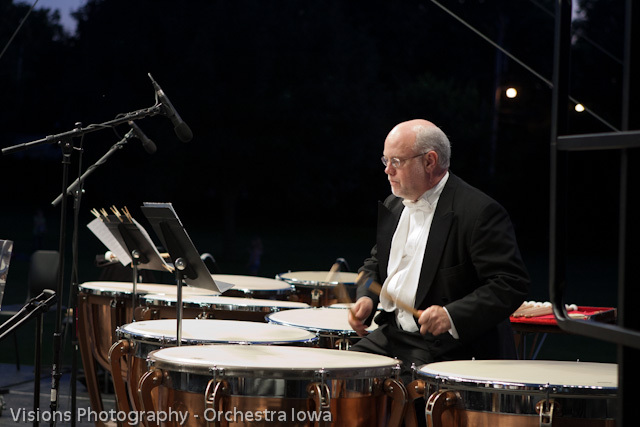 If you have never had a chance to see Orchestra Iowa live, you owe it to yourself to attend one of their events or better yet, get yourself season tickets! 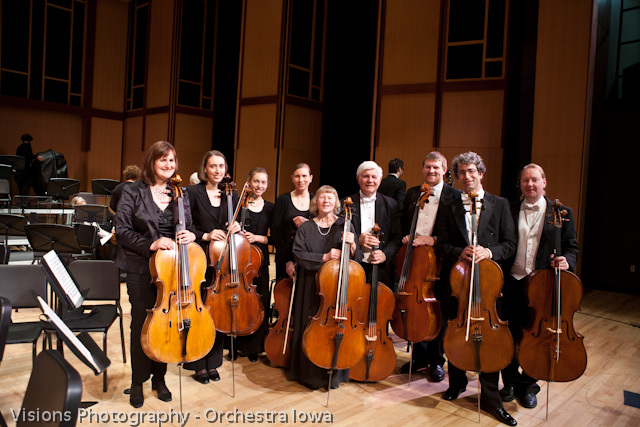 http://www.orchestraiowa.org/ They are truly a world-class orchestra right here in eastern Iowa. 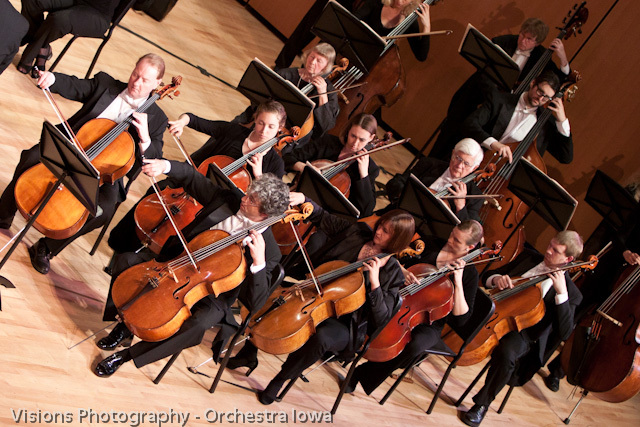 We are very proud of our relationship with Orchestra Iowa and the fact they asked us back for the 2010 / 2011 season to cover their events! 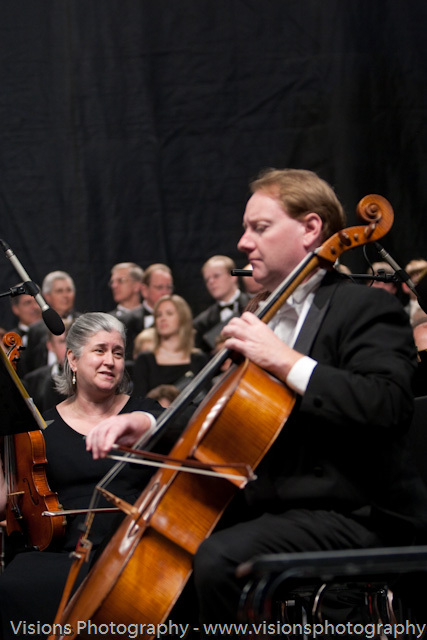 This will be our 2nd season working with them! 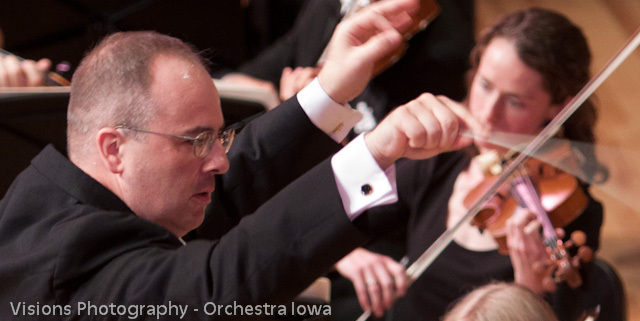 Orchestra Iowa is just a great organization, from the staff that is charge, to the world-class music they produce. 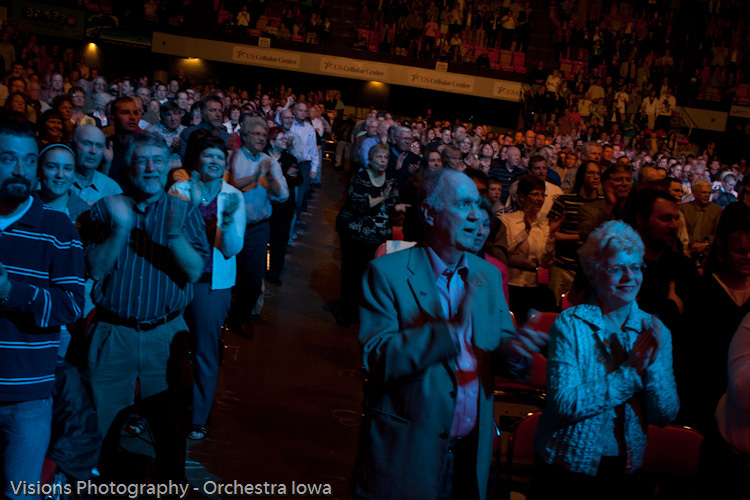 If you haven’t had a chance to catch them live, you OWE it to yourself to start attending their events! 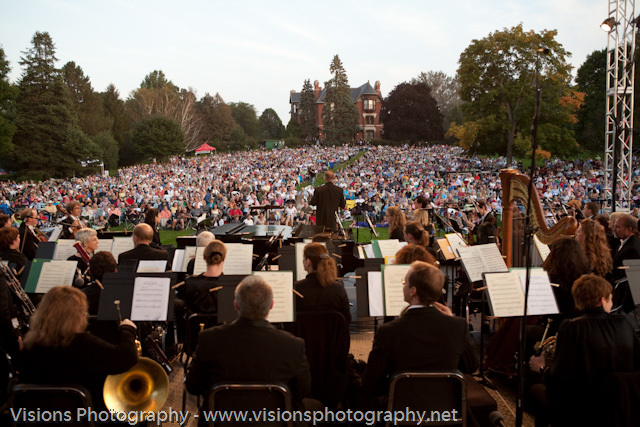 A GREAT way to start is the season opener on the lawn at Brucemore, Tickets are only $ 10 in advance and $ 15 at the gate. 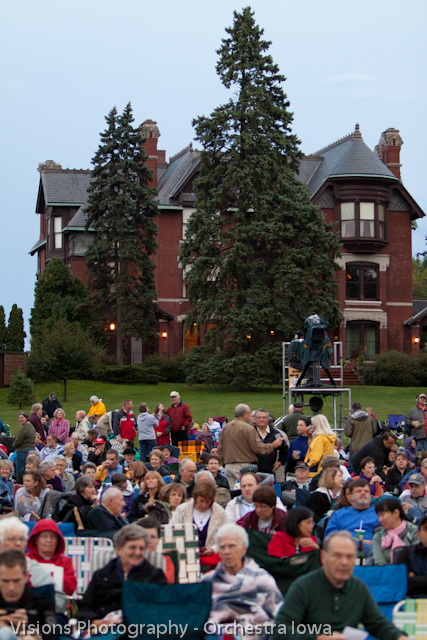 Gates will open at 6pm, bring your lawn chairs and blankets and settle in for a great time! 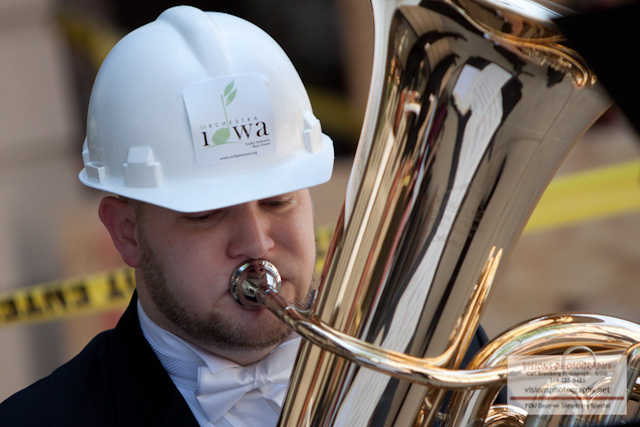 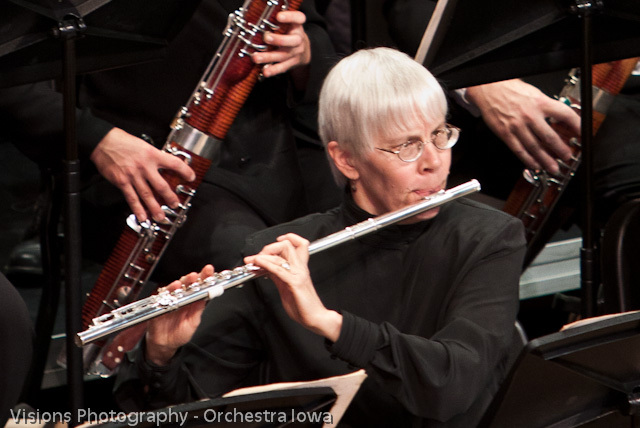 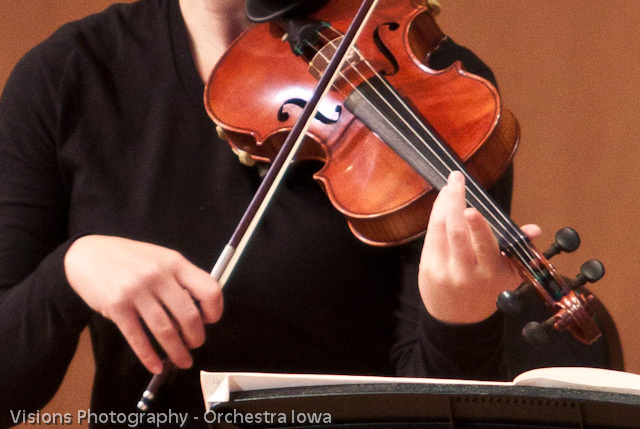 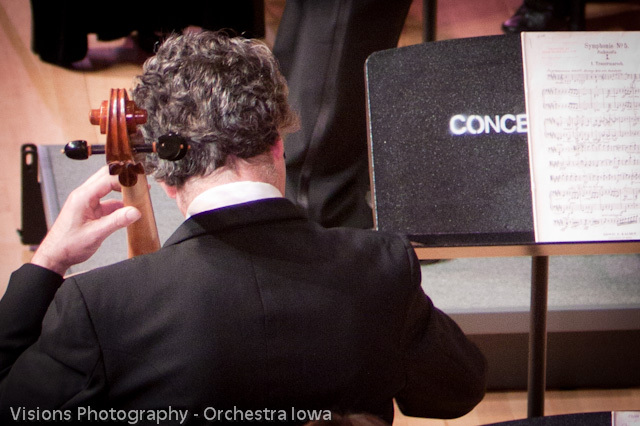 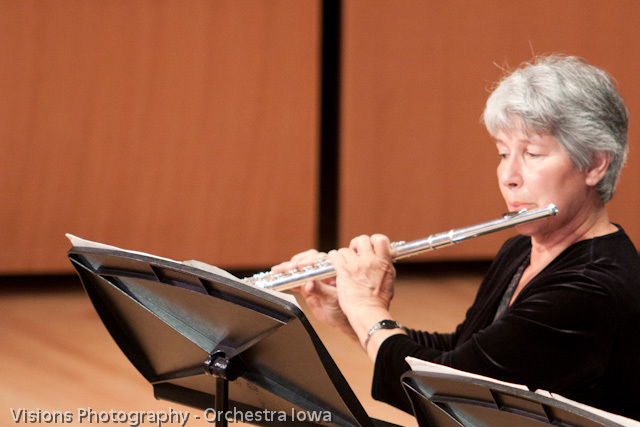 Last Saturday, April 10th I once again had the honor of photographing one of Orchestra Iowa’s events! 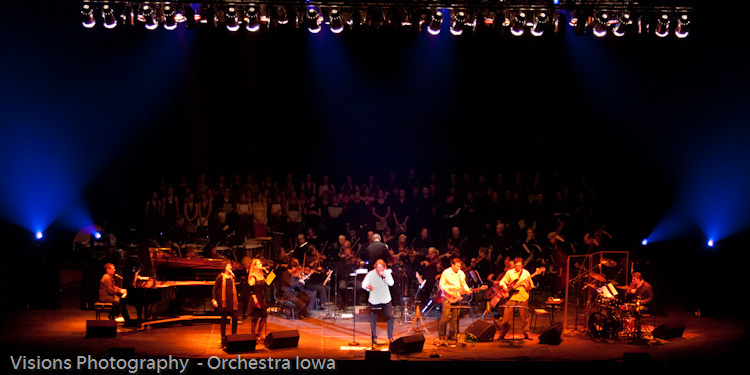 This time they joined with the band Jeans ‘n Classics, the show choirs from Kennedy, Prairie, and City High to perform the music of Queen! 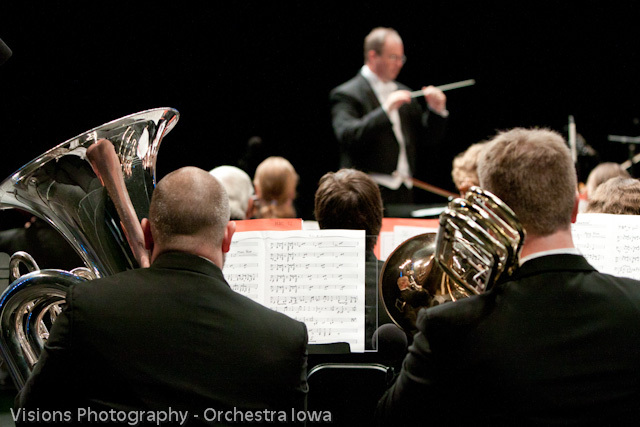 If you haven’t had the chance to see Orchestra Iowa perform, you owe it to yourself to go to one of their concerts. 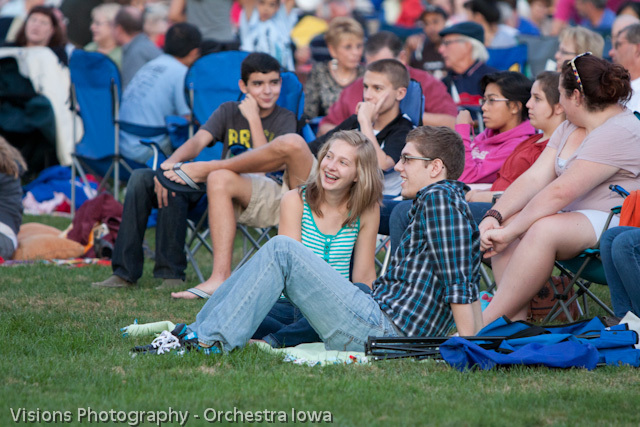 I promise you will have a great time and enjoy some great music. 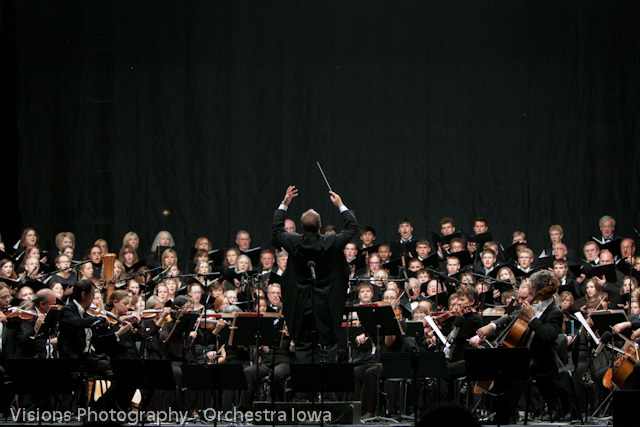 I’ve said it before and will keep saying it, Eastern Iowa is extremely lucky to have an orchestra of the caliber that is Orchestra Iowa! 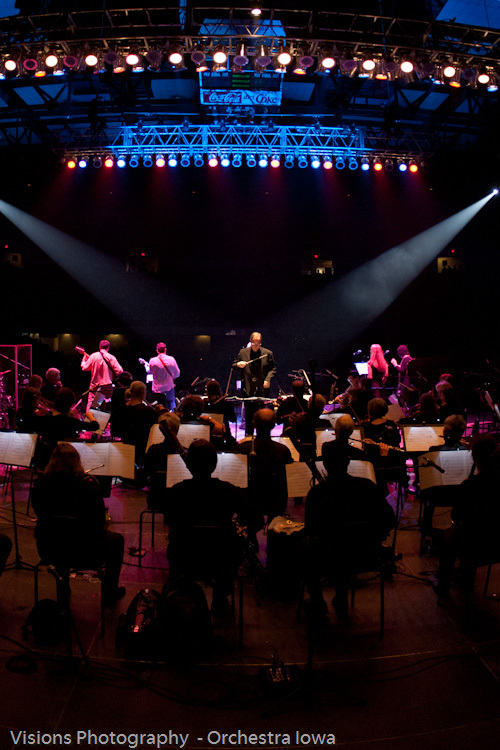 Please support them with a donation or purchase tickets to one, or better yet, get tickets to all their concerts with a season pass! 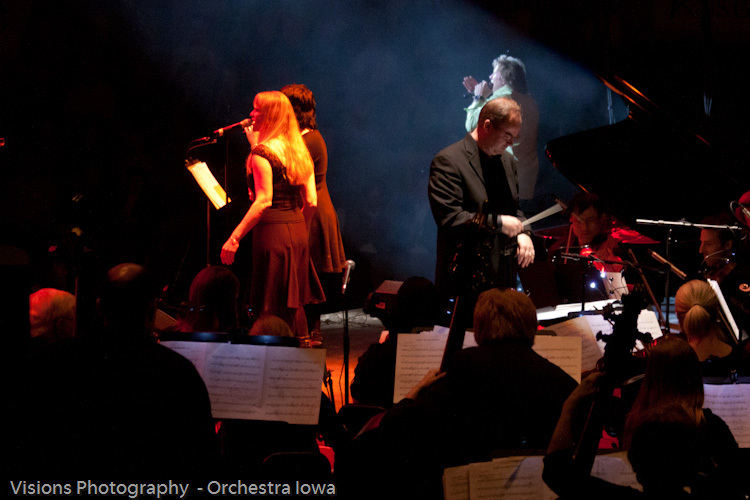 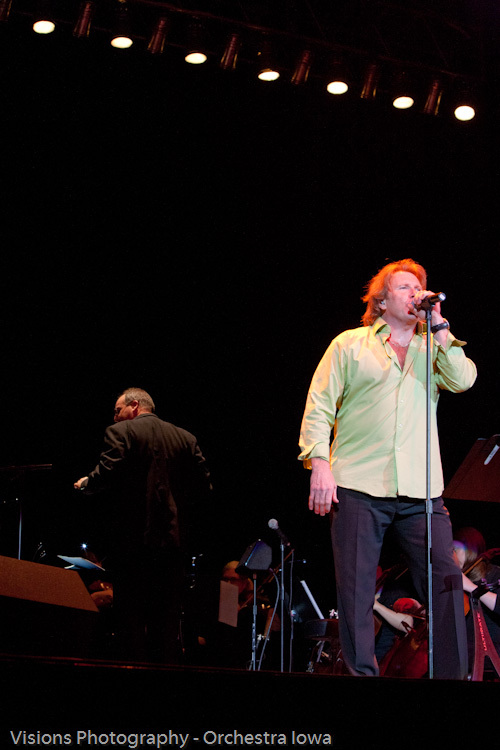 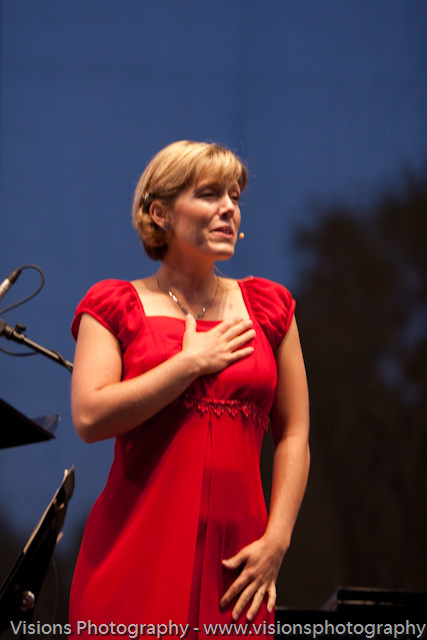 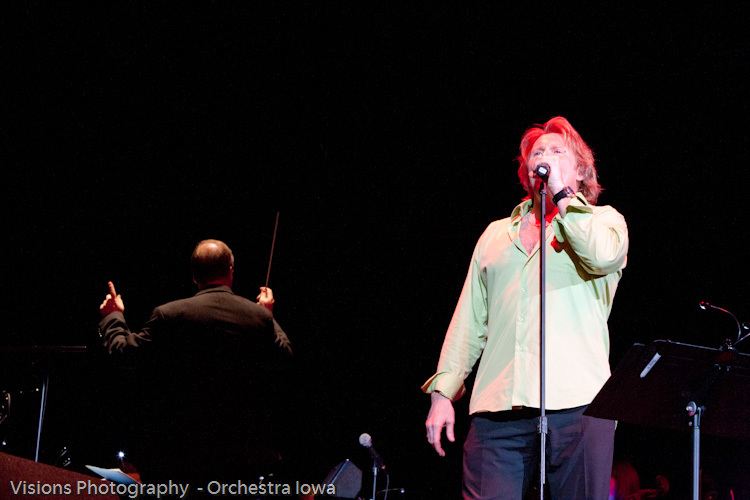 You can get all the details here: http://www.orchestraiowa.org Help support the arts in Eastern Iowa!